Last Day to SAVE $30 on our Summer Nashua Adult League! Last Day to SAVE $30 on our Summer Newton Adult League! 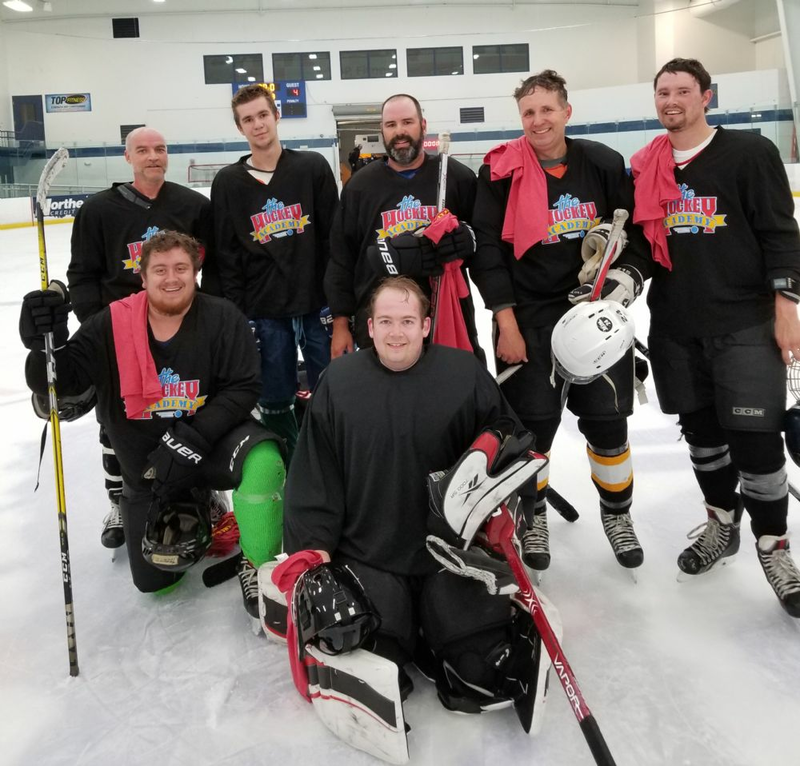 Registration is open for our Summer Adult Hockey Leagues! Congratulations to our Newton Fall League Champions! Congratulations to our Fall Tyngsboro Champs! Congratulations to our Fall Nashua Champs! Congratulations to our Hooksett Fall Champions! Congratulations to our Woburn Fall Champions! 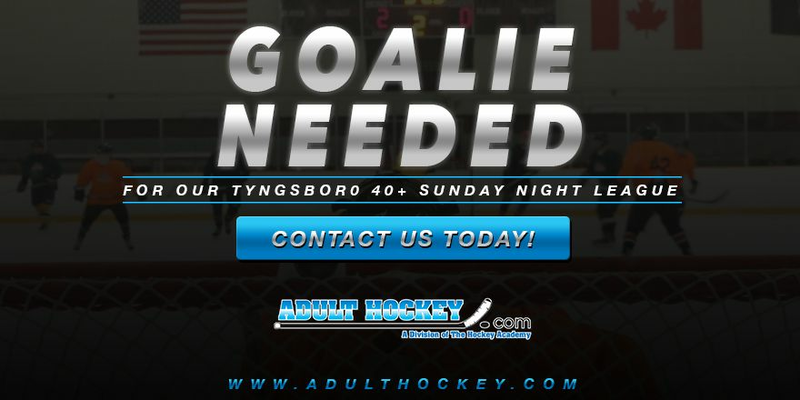 Looking for a Full Time Goalie for our Tyngsboro 40+ League! 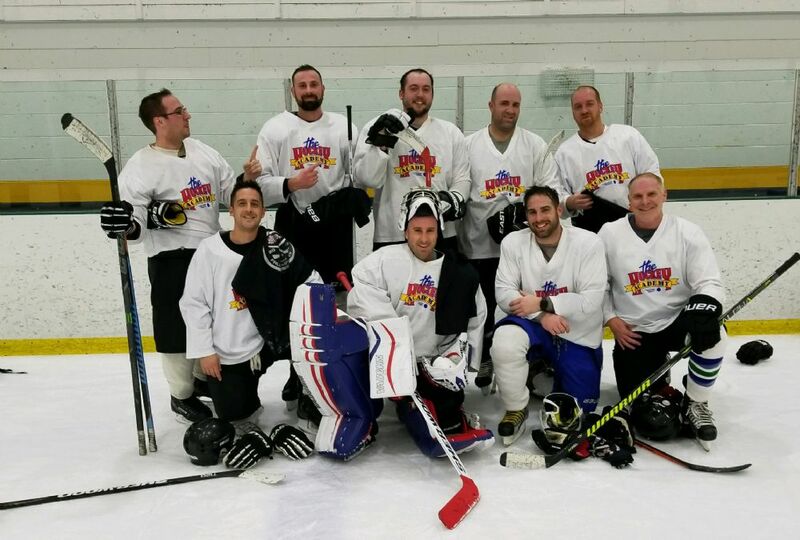 Congratulations to our Nashua Spring / Summer League Champions! Congratulations to our Newton Spring / Summer League Champions! Congratulations to our Reading Spring / Summer Champions! 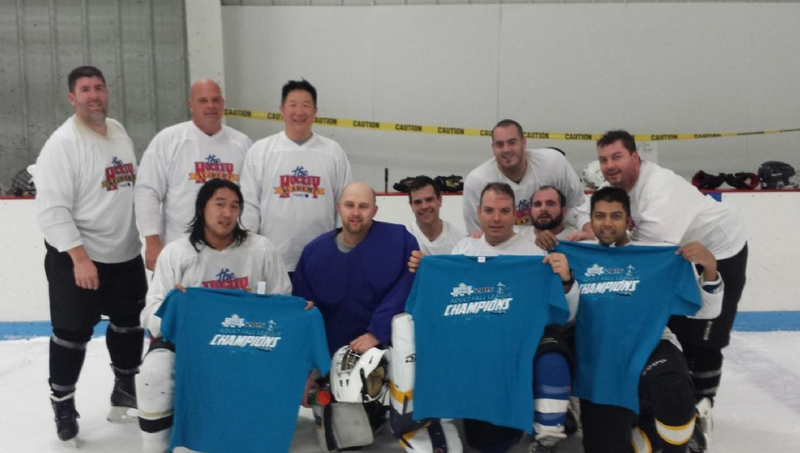 Congratulations to our Hooksett Spring / Summer Champions! LAST CHANCE to save $30 on our Fall Woburn League! 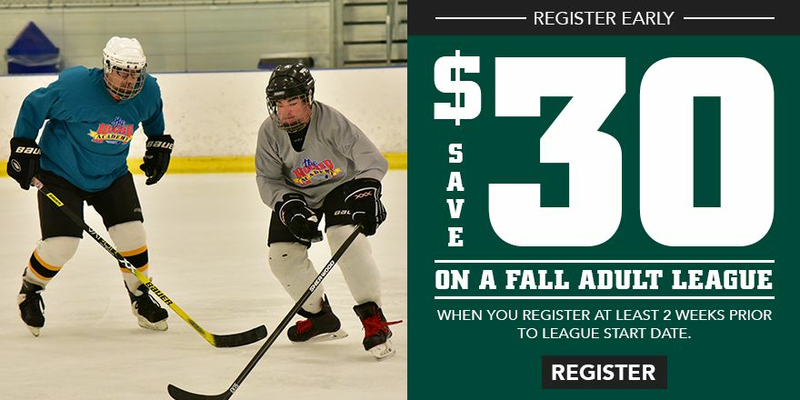 LAST CHANCE to save $30 on our Fall Newton / Nashua Leagues! 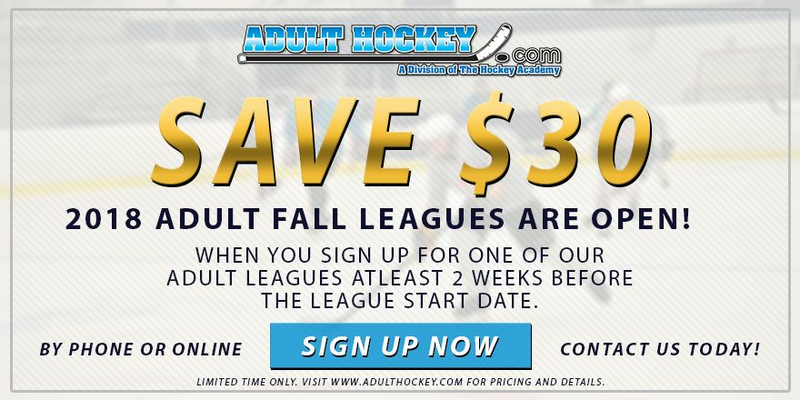 Save $30 on ALL Fall Adult Hockey Leagues! Congratulations to our Hooksett League Champions! Congratulations to our Tyngsboro League Champions! LAST DAY to Save $30 on the Hooksett Spring Adult Hockey League! Register Today for one of our Spring Leagues! Team Black wins the Newton Upper Division Championship! Team White wins the Newton Lower Division Championship! 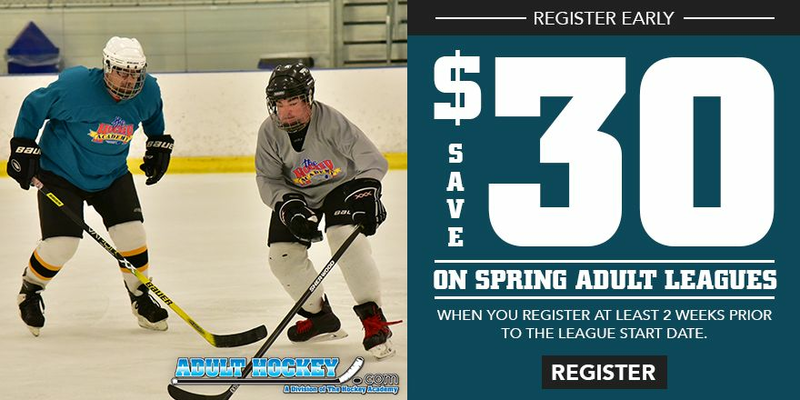 LAST DAY to save $30 on the Nashua Spring Adult Hockey League! Congratulations to our Woburn / Reading Winter League Champions! 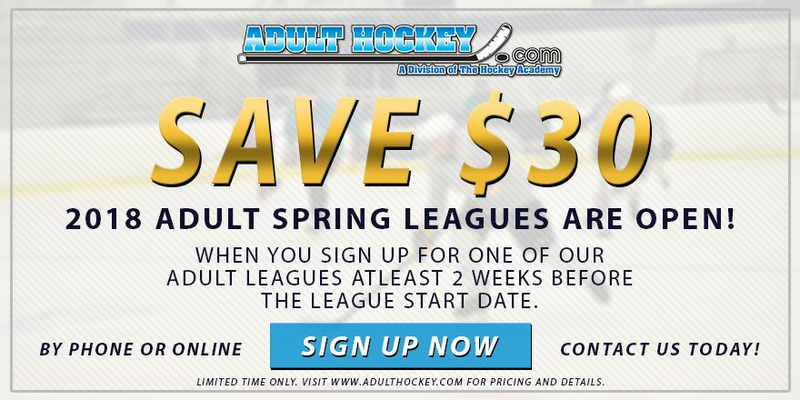 Time is running out to SAVE $30 on our Spring Adult Leagues! Registration is open or our 2018 Spring Leagues! Congratulations to our Fall Thursday Newton Champions! Congratulations to our Nashua League Champions! Congratulations to our Fall Wednesday Night Newton Champions! 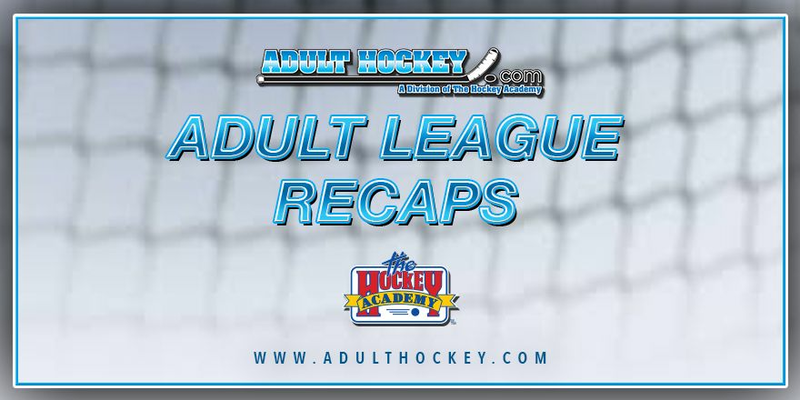 LAST CHANCE to save $30 on Winter Adult Hockey Leagues! Congratulations to the Woburn League Champions! Congratulations to our Fall Tyngsboro 40+ Champions! 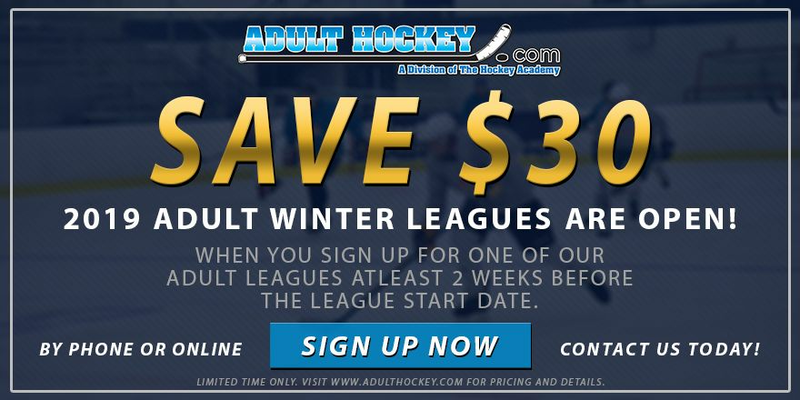 LAST CHANCE to Save $30 on Winter Adult Leagues! 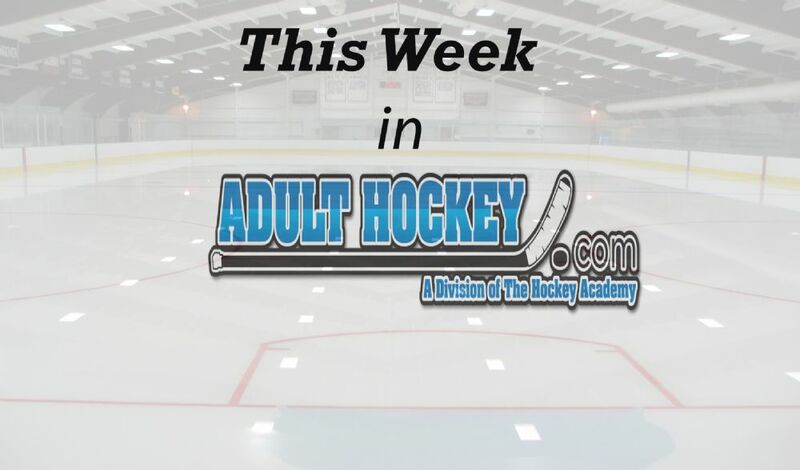 Register Today for one of our Adult Winter Hockey Leagues! Register Early to SAVE $30! Black Friday Sale - just a few days away! 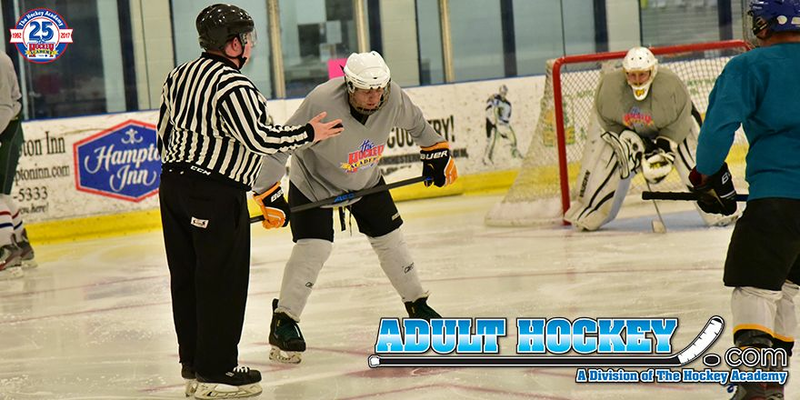 Save $30 on our Winter Adult Hockey Leagues! 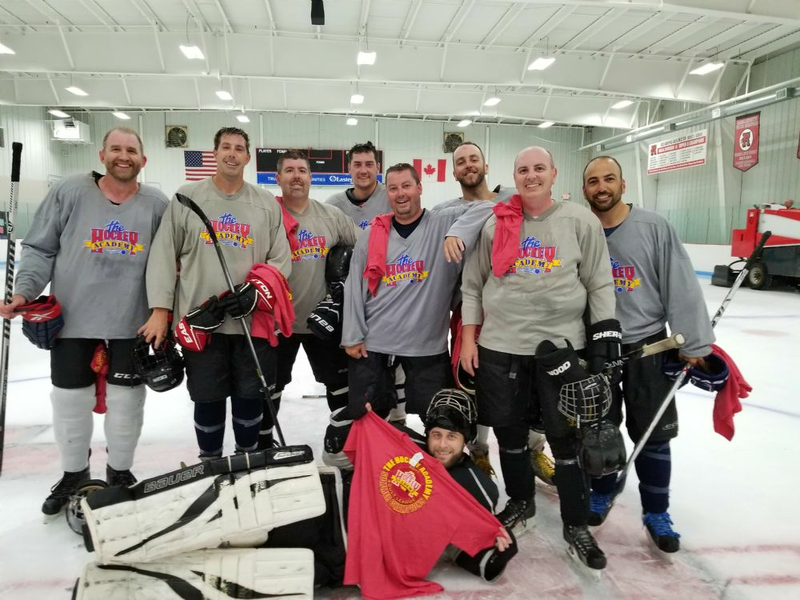 Join our Hooksett Adult Hockey League for a Reduced Rate! Congratulations to the Newton Spring/Summer League Champions! 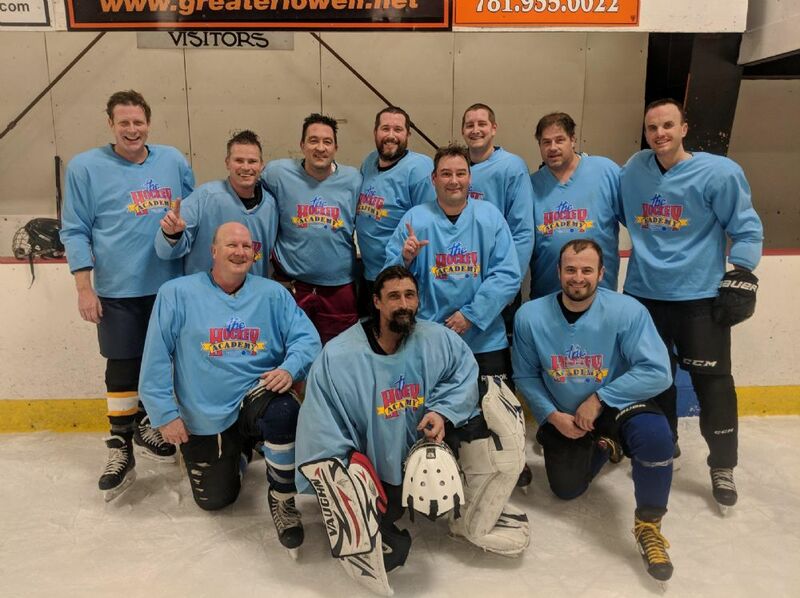 Congratulations to the Nashua Spring League Champions! 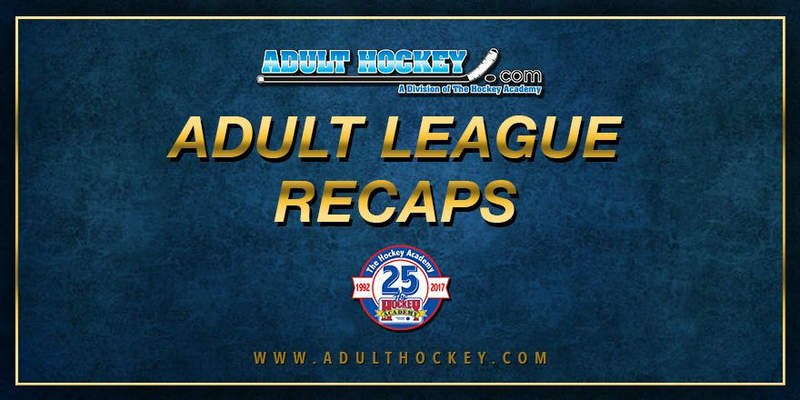 REMINDER: Less Than a Week Left to SAVE $30 on Adult Leagues! 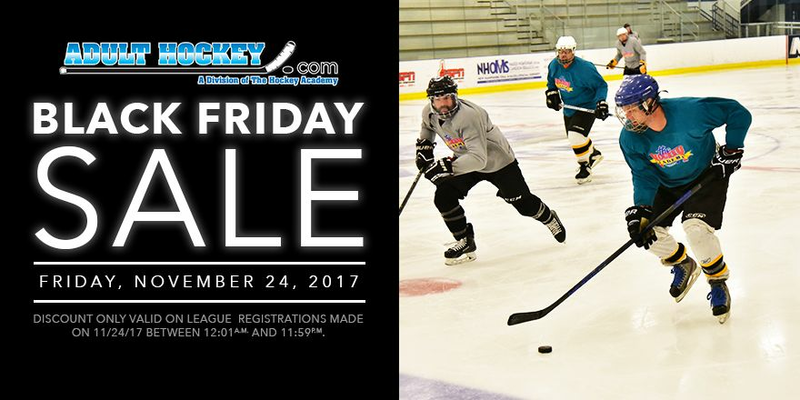 Save $30 on ALL Fall Adult Leagues! Don't Wait Until Last Minute! Last Day to SAVE $30 on our Summer Newton Adult League! Register Online to save! 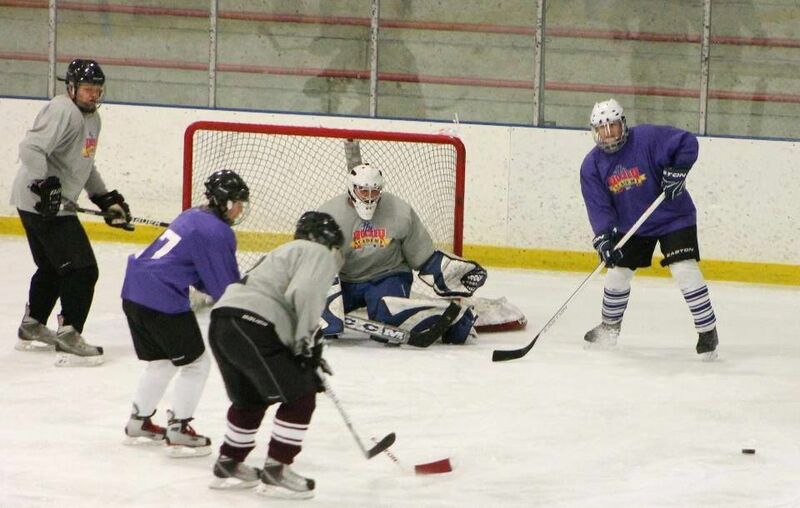 Registration is open for our Summer Adult Hockey Leagues. As always, register at least 2 weeks prior to the start of the league and SAVE $30! Hooksett, NH - (13 Weeks) No changes here. All games will be on Sunday night at the Ice Den Arena. Nashua, NH - (16 Weeks) No major news here. Times will shift slightly throughout the summer but all of that will be listed on the schedule. Tyngsboro League does not operate in the summer so some will be coming over from that league. Newton / Wellesley - (16 Weeks) Per usual in the summer, we will only be running one night a week so it will be a combination of the upper and lower levels. Games will be played on Wednesday nights. Games will be played at Babson Arena and shift back to Fessenden later in the summer. Woburn / Stoneham - (15 Weeks) Games will be played at Stoneham Arena until Woburn re-opens on August 12th. Most leagues sell out. All spots are given on a first come first serve basis. Rosters will be capped. Register Early to secure your spot. 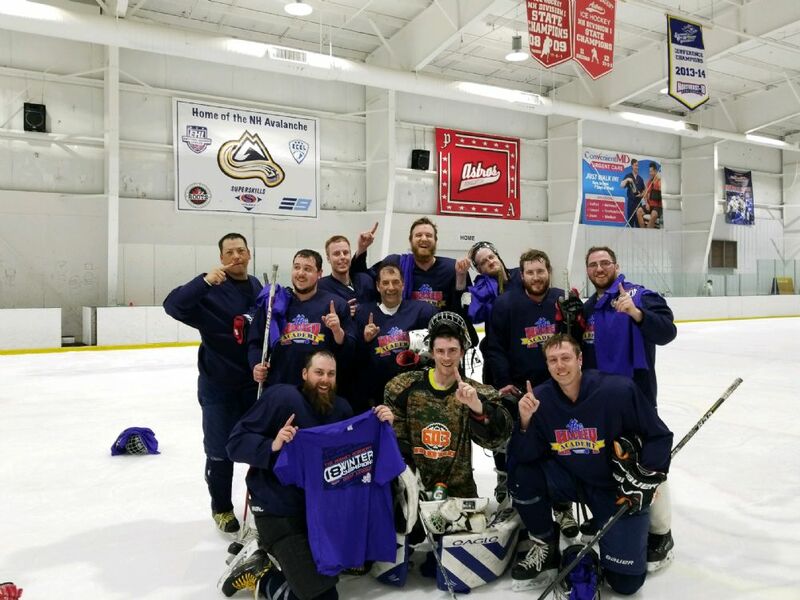 Congratulations to our 2018 Newton Fall League Adult Hockey Champions! Team White won the Lower Division defeating Orange 2-0 and Team Green took the Upper Championship with a 6-5 win in overtime over Yellow. Congrats to all teams on another successful session and we look forward to the start fo the Winter League! 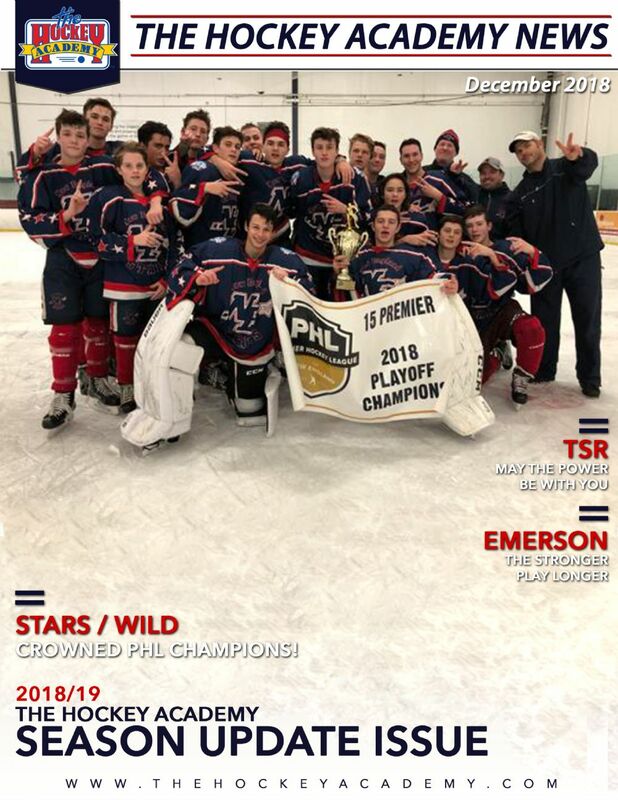 Congratulations to our 2018 Fall Tyngsboro Champs! Congratulations to Team Gray on winning the 2018 Fall Nashua League Championship! 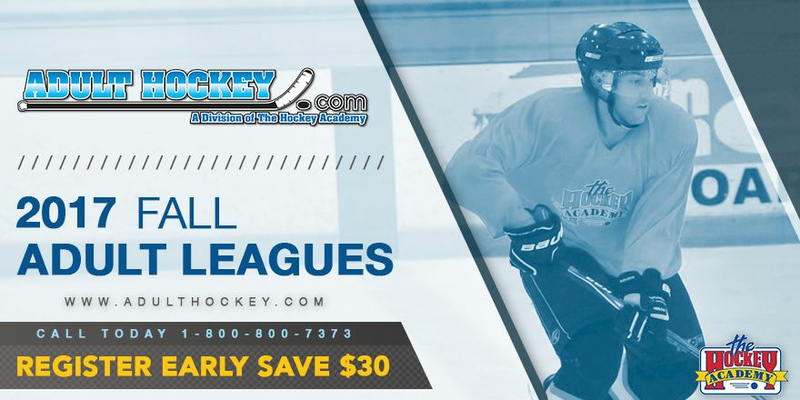 This is your LAST CHANCE to save $30 on our 2019 Winter Adult Hockey Leagues. Registration must be made by the 2 weeks prior to the league starting cutoff date to receive the discount. 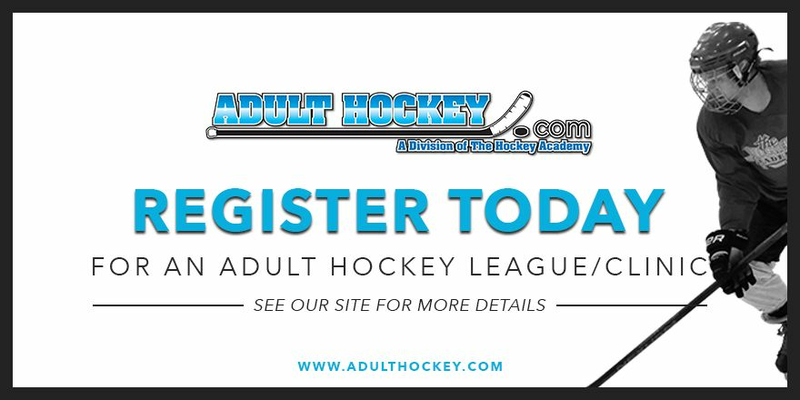 You can register online at www.AdultHockey.com. Green defeated Royal 3-1 in the Championship Game to claim the 2018 Fall Hooksett Championship! Light Blue Defeated Green 5-1 in the Championship Game to claim the 2018 Fall Woburn Championship! 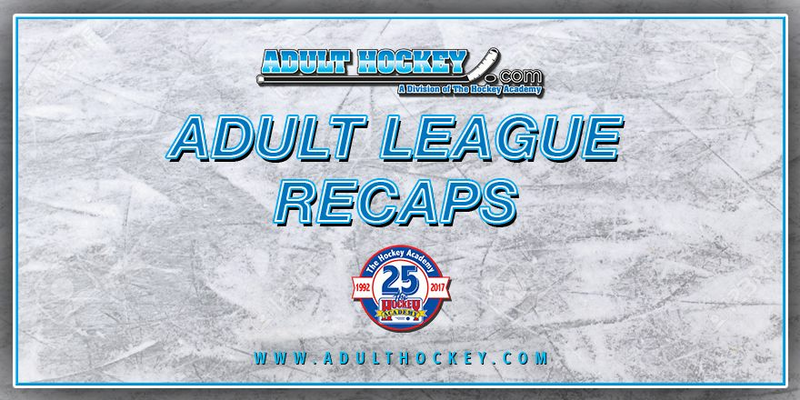 One Week Left to SAVE $30 on Winter Adult Hockey Leagues! So register Quickly! Time is running out to SAVE $30 on our Winter Adult Hockey Leagues! Register at least 2 weeks before the league start date for the discount. 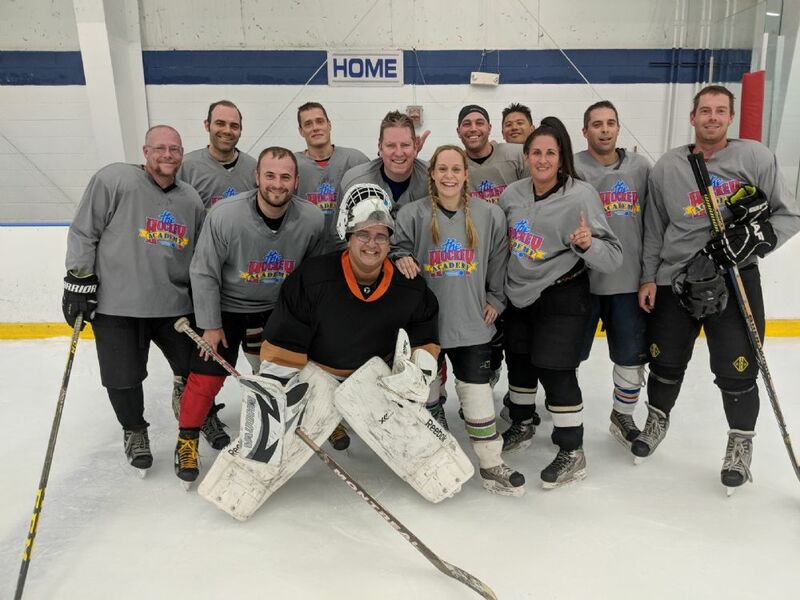 Congratulations to our Nashua Spring / Summer Adult League Champions! It's not too late! 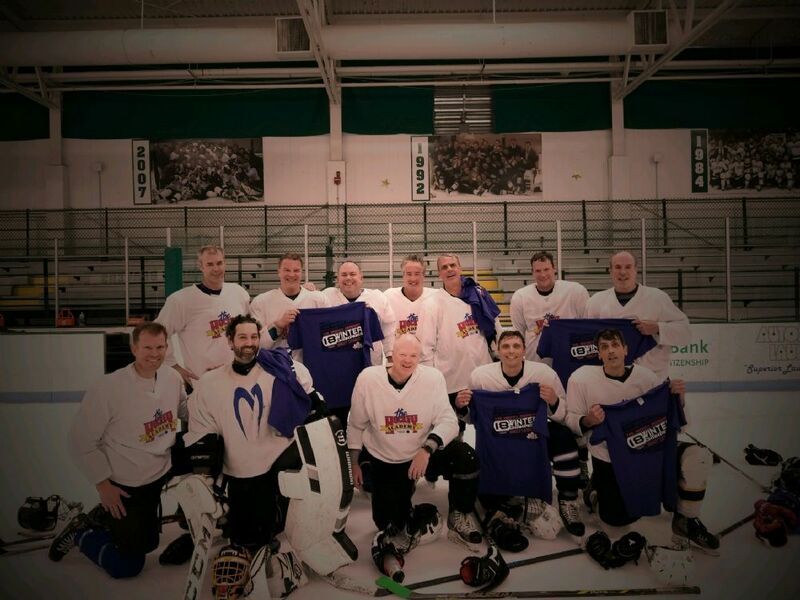 Sign up for a Fall Adult Hockey League Today! 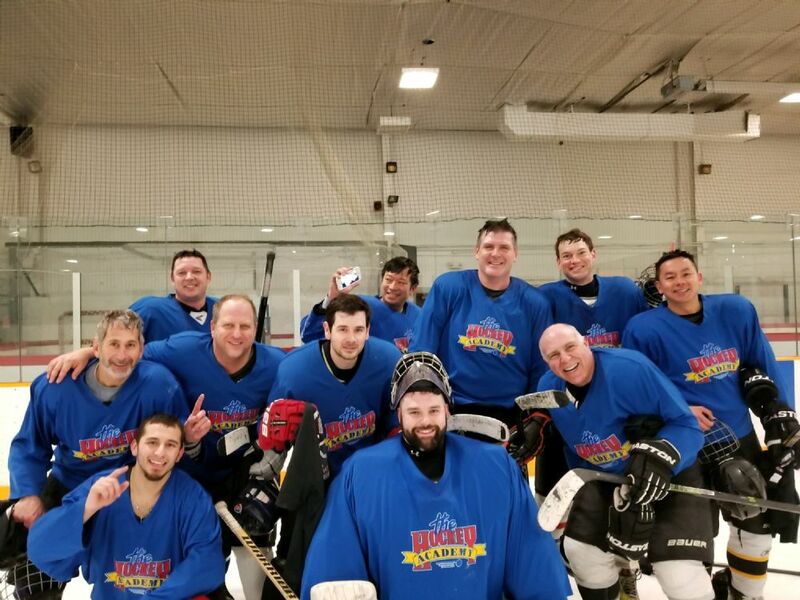 Congratulations to our Hooksett Spring / Summer Adult League Champions! LAST CHANCE to save $30 on our Fall Woburn League! Register online! LAST CHANCE to save $30 on our Fall Hooksett / Tyngsboro Leagues! Register online today! 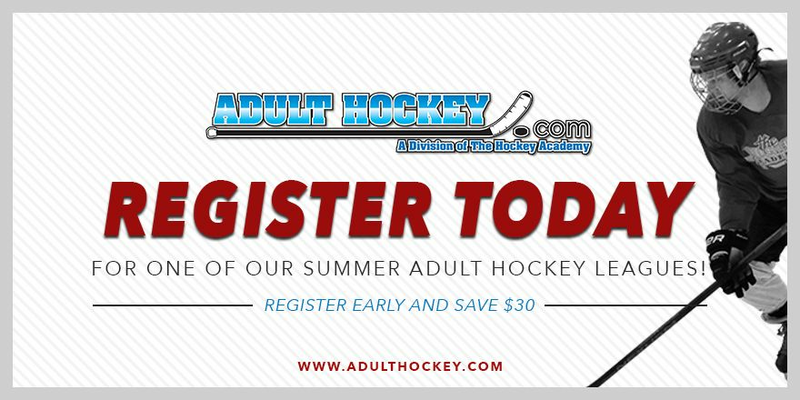 Save $30 on ALL Fall Adult Hockey Leagues when you register at least 2 weeks prior to the league starting! Notes: **Scores have not been reported yet for this past week. Notes: Navy has a 4 point lead on grey with only 3 weeks remaining in the regular season! Notes: REMINDER: The League switched times and locations this week. The remaining league games will be played at the Fessenden School in Newton. Notes: There are only 2 weeks left of the regular season. *Any “This Week’s Scores” or “Next Week’s Schedules” that have not changed form the previous is week is due to a delay in scoresheet upload. Notes: We currently have a tie for first between Navy and Gray. Both teams with at a 5-1 record. Notes: Team gray kept their undefeated season going, edging out black 4-3 last week. There is now a 6 point gap between first and second. Notes: Red maintains first place with an undefeated 6-0 record. Notes: At the halfway point in the season we have Gray undefeated in first place at 7-0. Red sits in 2nd with 6 points and Navy and Yellow tied for 3rd with 4 points apiece. Notes: We currently have a tie for first between Navy and Gray. Both teams with at a 4-1 record. Notes: In first place, we have Team Gray who is undefeated at 6-0. Team Black looks to catch them in the second half of the season just 4 points behind. The two teams face off this week. Notes: Red currently holds first place with an undefeated 5-0 record. Yellow and Blue battle for 2nd both with 2-3 records, 6 points behind first. 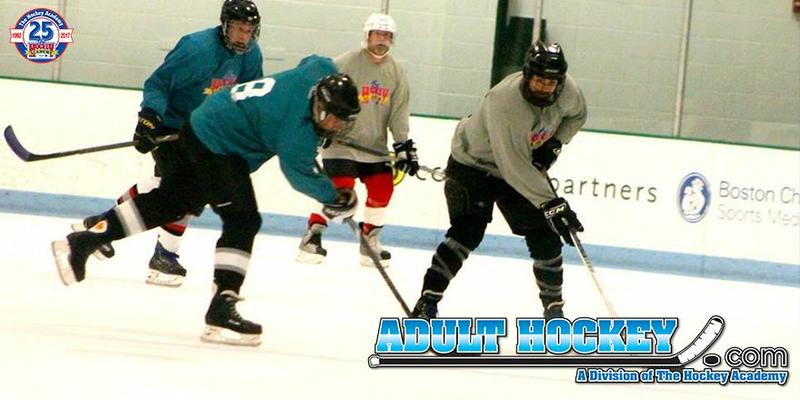 LAST DAY to Save $30 on the Hooksett Spring Adult Hockey League! Register today! There's Still Time! Register Today for one of our Spring Adult Hockey Leagues! Congratulations to Team Black on Winning the Newton Upper Division Championship! They defeated Red by a score of 4-2. Congratulations to Team White on winning the Newton Lower Division Championship! 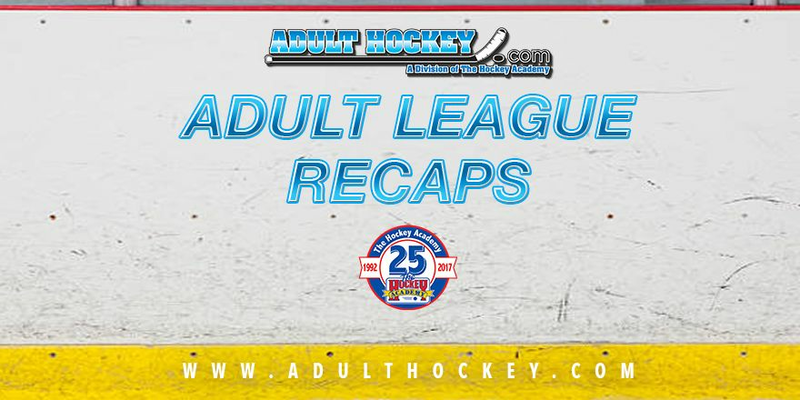 LAST DAY to save $30 on the Nashua Spring Adult Hockey League! Register Today! 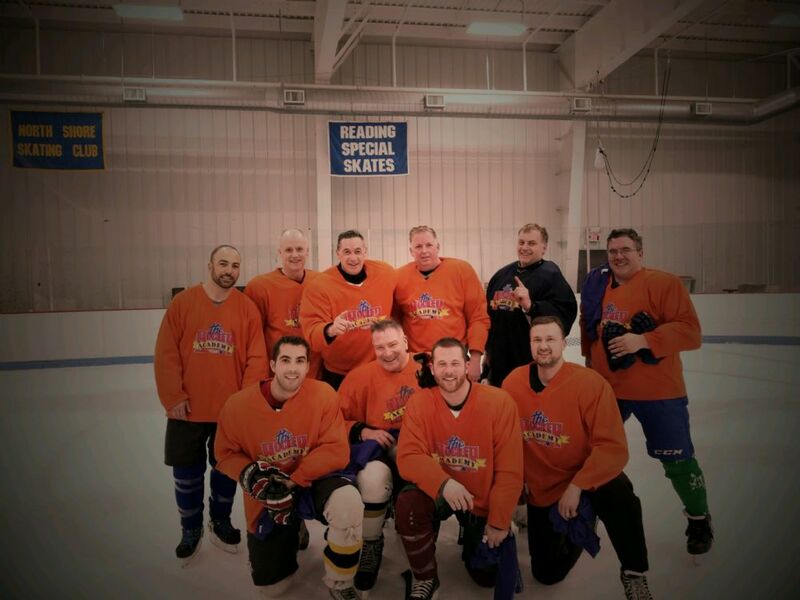 Congratulations to Team Orange on winning the 2018 Woburn / Reading Winter League Championship! 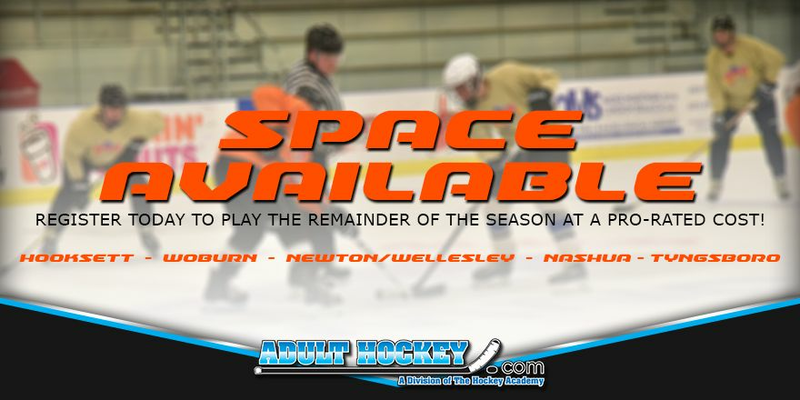 LAST DAY to save $30 on the Newton/Wellesley Spring Adult Hockey League! Register online to save! Notes: We head into the first week of the post season with Orange taking the first place seed. Notes: With one week left in the regular season, the playoff seeds are pretty locked in with the exception of Grey and White battling for fourth. Notes: Playoffs start this upcoming week! Once the final scores are entered we will email the matchups and gametes. Notes: Orange sits in first just 1 point ahead of Black with 1 week of the regular season remaining! Notes: With 2 weeks left in the regular season, Light Blue currently sits in first just 2 points ahead of White. Notes: Team Orange is in first place over Team Grey by 1 point heading into the final week of the regular season! Notes: With two weeks left of the regular season, Team Orange sits in first place, 1 point ahead of Team Green. 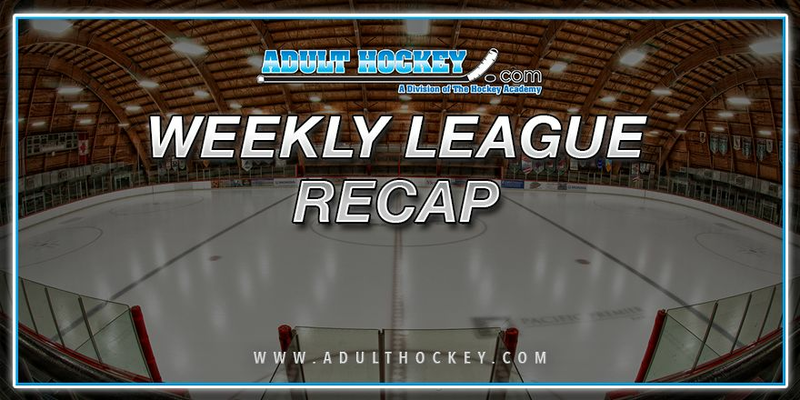 Notes: As we enter the last week of the regular season, White sits in first place of the Lower Division and Black sits in first place of the Upper Division. Notes: Orange sits in first just 1 point ahead of Black with 2 weeks of the regular season remaining! Notes: Light Blue is currently in first 4 points ahead of White in second. 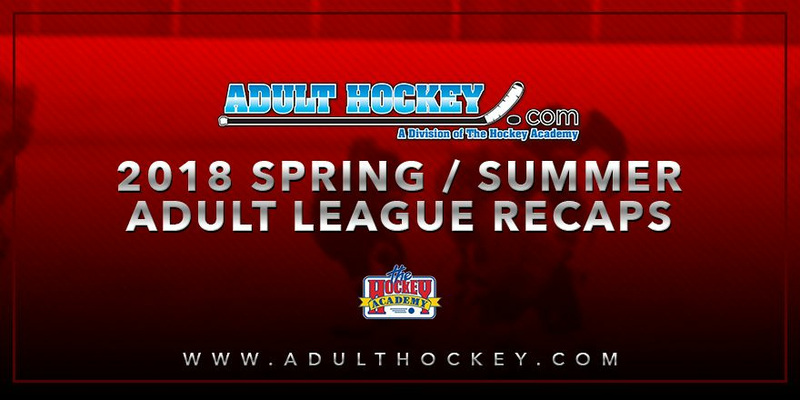 Registration is open for our 2018 Spring Adult Hockey Leagues! 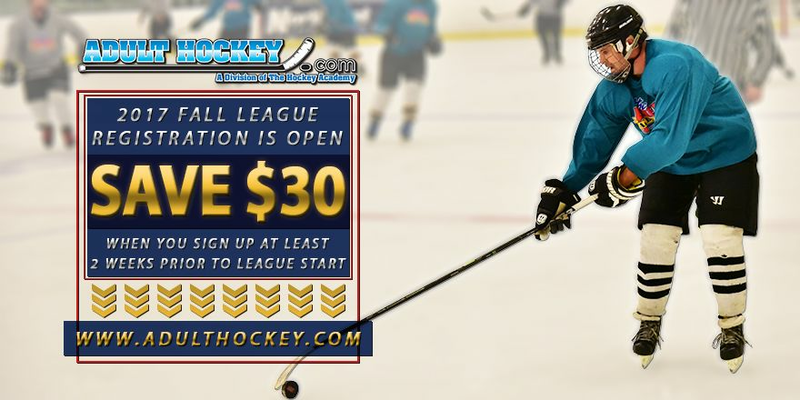 Register at least 2 weeks prior to the leagues starting and save $30! Notes: Team Grey moves to first place with a 5-2 win over Royal this past week. Notes: Team Green and Orange are tied for first , both with a 3-0 record. Notes: Team White remains undefeated in the Lower Division, and we have a tie for first between Black and Light Blue in the Upper Division. Notes: Orange sits comfortably in first place with 8 points. Notes: Team Navy sits in first with 3 points. Notes: Team Royal currently sits in first place with a 2-0 record. Notes: Team Green currently sits in first place with a 3-0 record. Notes: Team White sits in first place in the Lower division at 2-0, and we have a tie for first between Black and Light Blue in the Upper Division. Congratulations to Team Yellow on Winning our Nashua League Championship! Congratulations to our Fall Wednesday Night Newton League Champions! It's not Too Late! 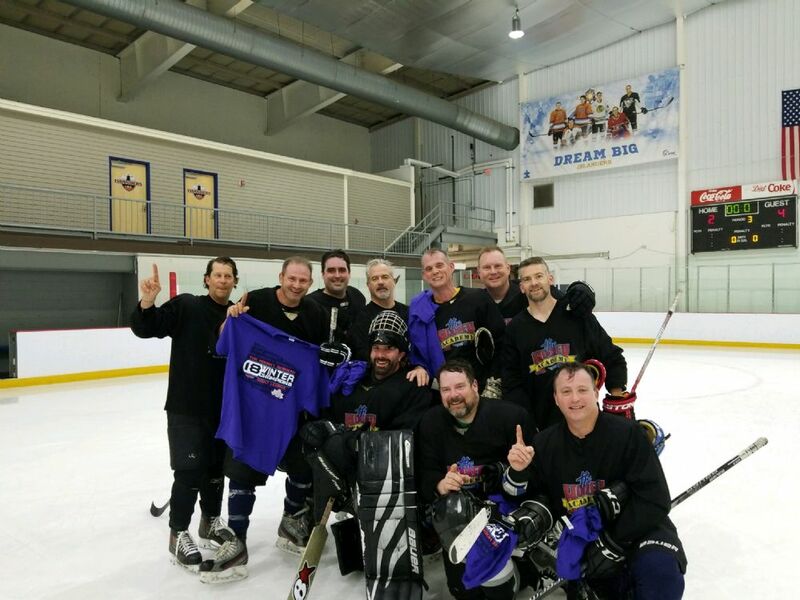 Sign up for a Winter Adult Hockey League Today! 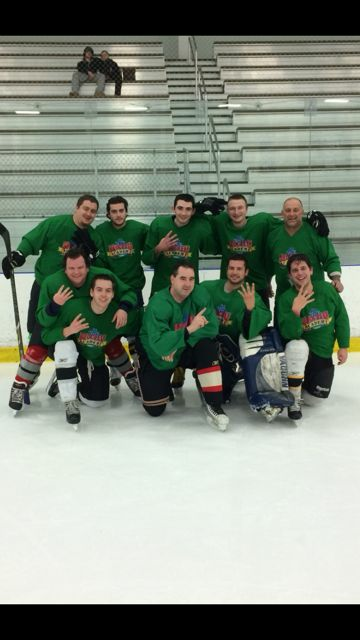 Congratulations to Team White on winning our Fall Hooksett League Championship! Congratulations to Team Blue on winning our Fall Tyngsboro 40+ Championship! 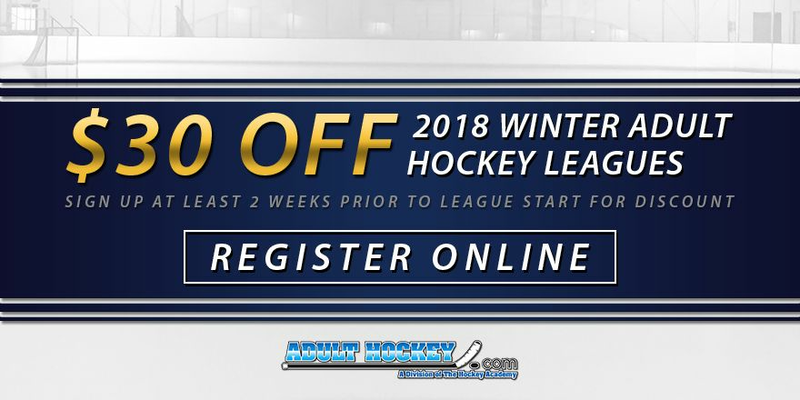 LAST CHANCE to Save $30 on Winter Adult Leagues! Register today! Notes: Championship game will be this upcoming week between Yellow and Red. Good luck to both teams. Notes: This will be the last week before the post season starts. Notes: The Championship will be this upcoming week between White and Royal. Good luck to both teams! 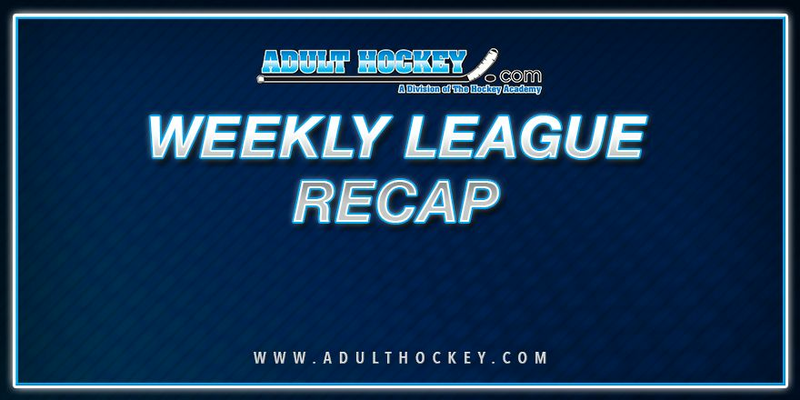 *Any “This Week’s Scores” or “Next Week’s Schedules” that have not changed from the previous is week is due to a delay in scoresheet upload. Notes: Team Yellow beat Red this past week to extend their points lead to 5. Post season starts on 12/11. Notes: There is currently a tie for 2nd place with both White and Green having 11 points. Post Season will start on 12/21. Notes: White remains in first in the “Upper” Division and Royal has a 4 point lead in the “Lower” Division. Post Season starts on 12/20. Notes: Post Season starts this upcoming week on 12/10. Notes: Team Yellow maintain’s control of first place with Team Red just 3 points back. Notes: Team Yellow suffered it’s first loss, losing to White 6-5. Notes: White takes sole possession of first place in the “Upper” divisions while Royal holds the 1st place spot in the “Lower” Division. Notes: Royal maintains possession of first place with a 2 point lead over Team Black. Notes: White continues their undefeated streak at 8-0. We are just a few days away from our Annual Black Friday Sale! 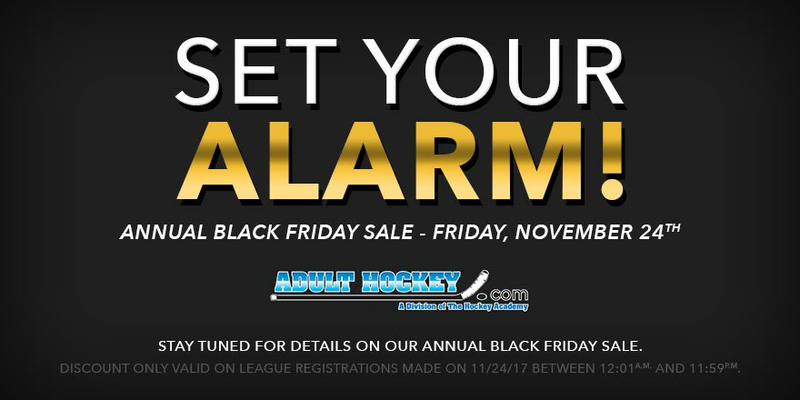 This is a great opportunity to save on our Winter Adult Hockey Leagues! 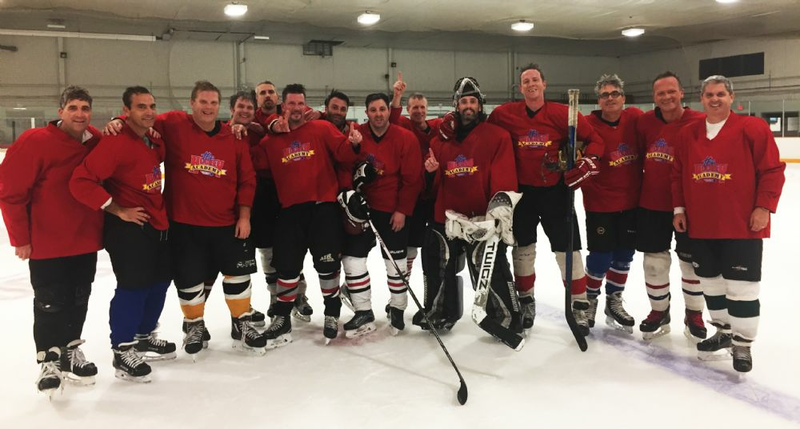 Save $30 on our Winter Adult Hockey Leagues! Register early! Notes: We have a tie for first place with both Green and Yellow at 5 points and Red 1 back with 4 points. Notes: Royal has taken sole possession of first place with White and Black both 2 points back in 2nd. Notes: White remains undefeated with a record of 6-0 and in first place. Team Royal is just 4 points back in 2nd. MARK YOUR CALENDAR! We will be holding our annual Black Friday Sale again this year! Stay tuned for more info! Notes: Team Yellow sits comfortable in first place with a 8 point lead over the 2nd place Team Green. Notes: In the “Upper” Division we have a tie for first between Green and White, both with 8 points. In the “Lower” Division, Royal sits in first place with a 2 point lead over Purple and Gold in 2nd. Notes: White and Royal are currently tied for first place. Both teams have 9 points. Team Black sits in 3rd just 2 points back. Notes: White remains undefeated with a record of 5-0 and in first place. Team Royal is just 2 points back in 2nd. Notes: Team Yellow sits comfortable in first place with a 6 point lead over the 2nd place Team Green. Notes: In the “Upper” Division we have White in first place at 3-0-2 with 7 points. Royal takes sole possession of first in the “Lower” division at 4-1-0 with 8 points. Notes: Team Royal sits in first place with a 2 point margin over Team White and Team Black. Notes: White is currently in first place undefeated. Team Royal is just 2 points back. Notes: Team Yellow sits comfortable in first place with a 4 point lead over the 2nd place Team Green. Notes: In the “Upper” Division we have White in first place with 7 points. We have a tier for 1st in the “Lower” Division, Royal and Gold both with 6 points. Notes: Team Royal sits in first with a 4 point lead over Team White and Black in 2nd. 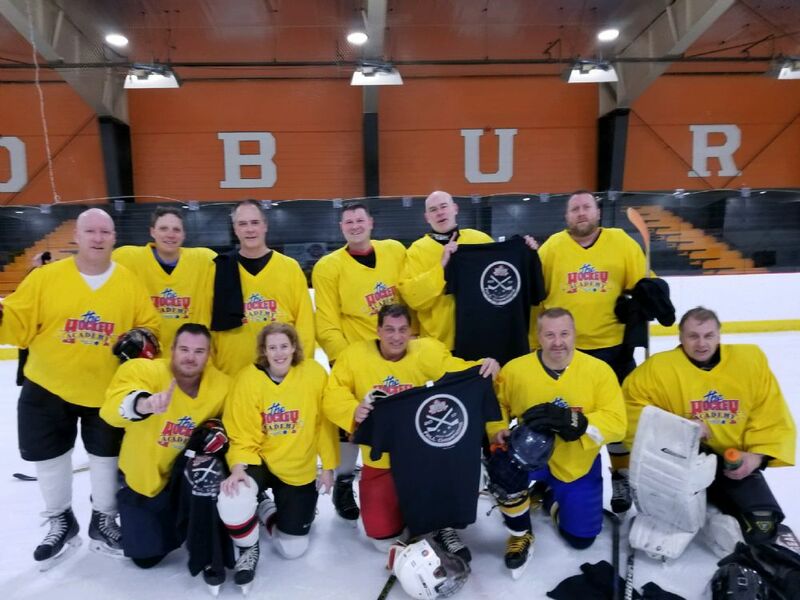 Interested in joining our Hooksett Adult Hockey League? Contact us today to sign up and play the remainder of the season at a pro-rated cost! Excellent game times! Notes: We are now two weeks into the regular season and it’s looking to be evenly matched across the board with only 1 team without a loss. Notes: Now 4 weeks into the regular season, Team Yellow sits in first place undefeated. They will face-off vs. the second place Team Green this upcoming week. Notes: After two weeks of the regular season, we have 1 team undefeated in both divisions. Gold in the “Lower” and White in the “Upper." Notes: We currently have a tie for first between White and Royal, both at 2-0-1. Notes: We currently have a tie for first between White and Royal, both at 2-0. Congratulations to the Newton Spring/Summer League Champions! Team Red defeated Team Gray 2-1. 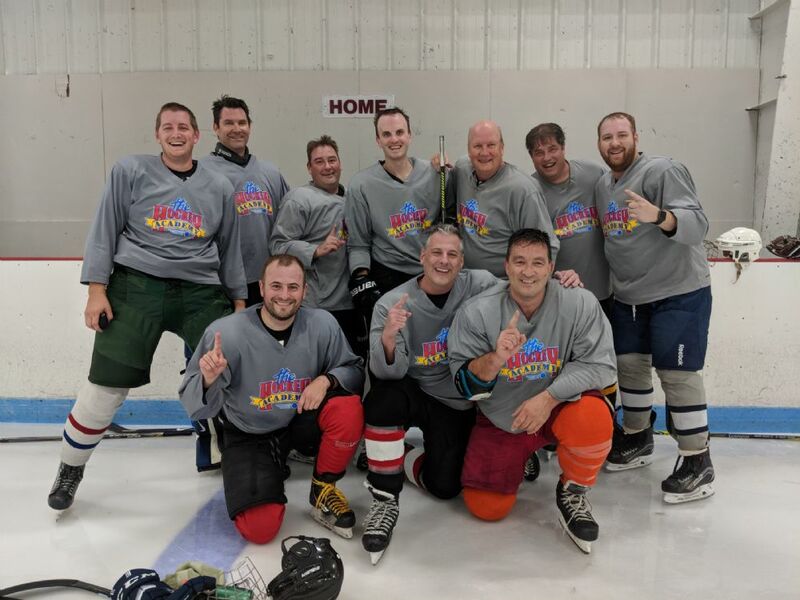 Congratulations to the Nashua Spring League Champions! Team Black defeated Team Green 6-4. Congratulations to the Reading Spring League Champions, Team Gray, who defeated Team Yellow in a shootout! Today is the FINAL DAY to save $30 on the Reading, MA & Woburn, MA Leagues! Registration is still open for our other leagues. Register today to reserve your spot! 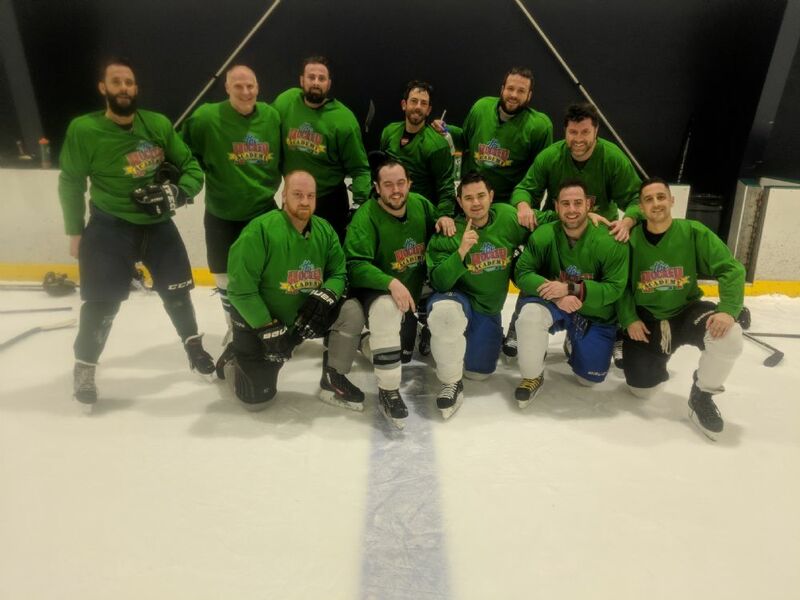 Notes: Congratulations to Team Green on Winning the Spring League Championship! They defeated Team Orange 4-0. Congrats to all teams on another great season and we look forward to having you all back for the Fall league! 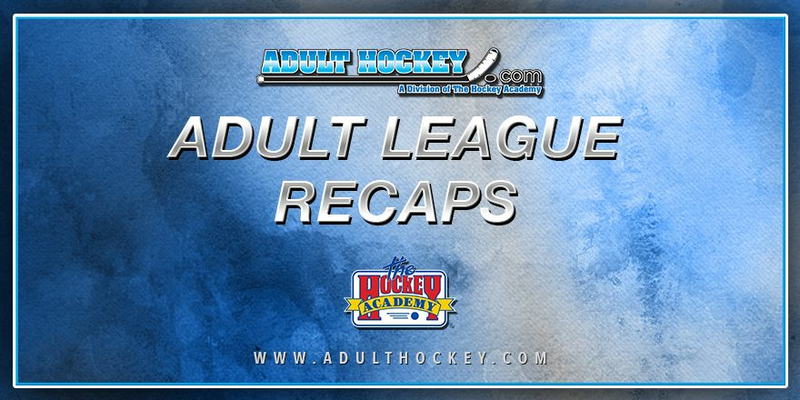 Notes: We are going into the final week of the Nashua Spring/Summer League! Team Black will face-off vs. Team Green in the championship and Team Red vs. Team Light Blue in the consolation game. Good luck to all teams! Notes: The post season continues this week with all teams trying to advance to the finals which will be on 8/31. Notes: It is championship week! Gray will take on Yellow in the championship game and Light Blue takes on Black in the consolation game. Congratulations to Team Green on winning the Bedford Spring League Championship! 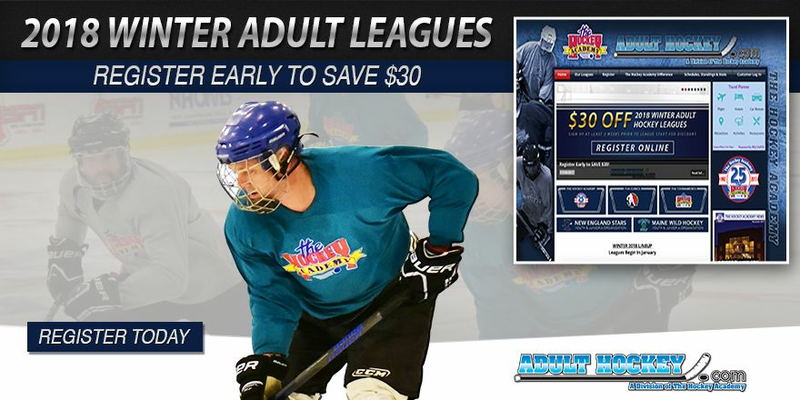 REMINDER: Less Than a Week Left to SAVE $30 on Adult Leagues! Register today! Notes: It’s Championship week! Team Orange advances to the finals to face Team Green after a 4-1 win last week. Notes: This upcoming week marks the end of the regular season/start of the preseason! Good luck to all teams! Notes: With 2 weeks left in the regular season, Team Gray hold a 5 point lead over team Red for first place. Notes: Team Gray extends their points lead to 7 with another win this past week! Notes: The post season starts this upcoming week with Team Gray and Orange facing off to see who will advance to the championship. Notes: Team Red and Black each took victories this past week both putting up 11 goals! Notes: Team Gray extends their first place lead to 4 points with a 7-0 victory this past week! Notes: Team Gray extends their points lead to 5 with another win this past week! Notes: Team Green’s lead is cut down to just 2 with Team Gray just 2 points back. 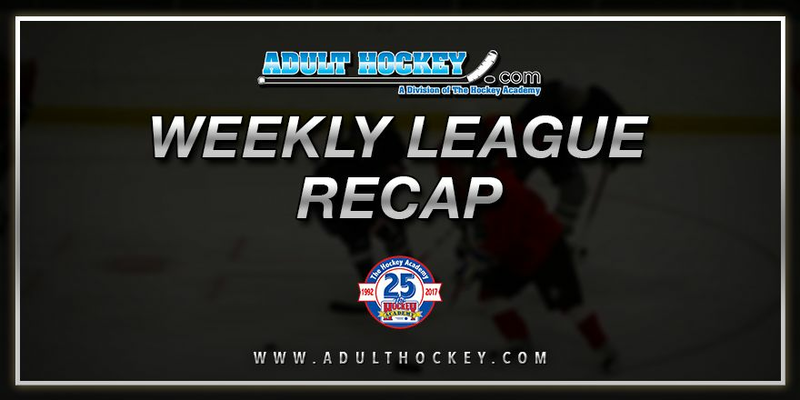 Notes: Team Red regrouped from their first lost last week with a 6-3 win this past week. Meanwhile, Team Light Blue and Black battle for 2nd place, both with 9 points a piece. Notes: Team Gray takes sole possession of first place while Orange and Red battle for 2nd both with 11 points. Notes: Team Gray keeps a 3 point lead over Light Blue after both teams took victories this past week. 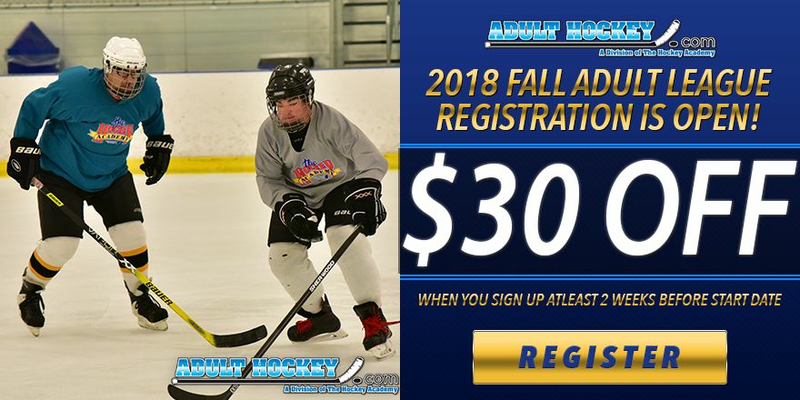 Save $30 on ALL Fall Adult Leagues! Register at least 2 weeks prior to the league start date to receive discounted pricing! Notes: Team Green extends their lead to 4 points over the 2nd place Team Gray after a 4-0 win this past week. Notes: Team Red suffered their first loss (7-2) to Team Black this past week. Light Blue remains in 2nd 7 points behind Red. Team Black is just 1 game behind Light Blue as they face-off this week. Notes: We have a 3 way tie for first place! Orange, Gray and Red all have 11 points. Notes: Team Gray’s 1st place lead dropped to 3 points after a 5-5 tie this past week to Team Yellow. Don't Wait Until Last Minute! 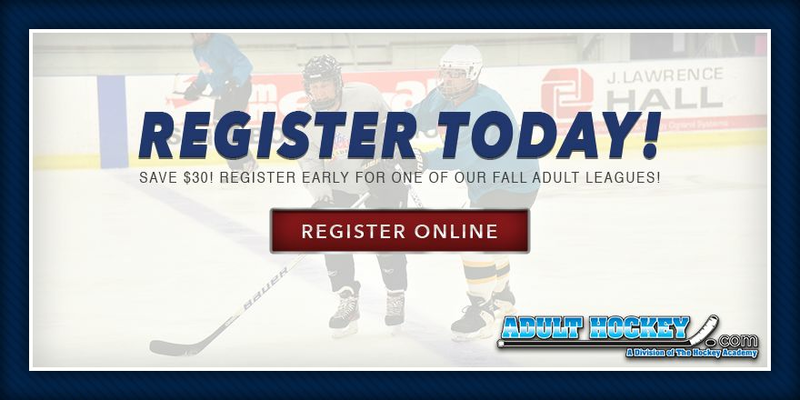 Register Early for our Fall Adult Leagues and SAVE $30! Notes: Gray is now only 1 game back from Team Green in the standings after a 3-0 victory this past week. Notes: Team Red remains undefeated at 8-0 with a 7 point cushion over 2nd place Light blue. Notes: The battle for first place continues with Red holding the top spot 2 points ahead of Orange and Gray, who are tied at 9pts. 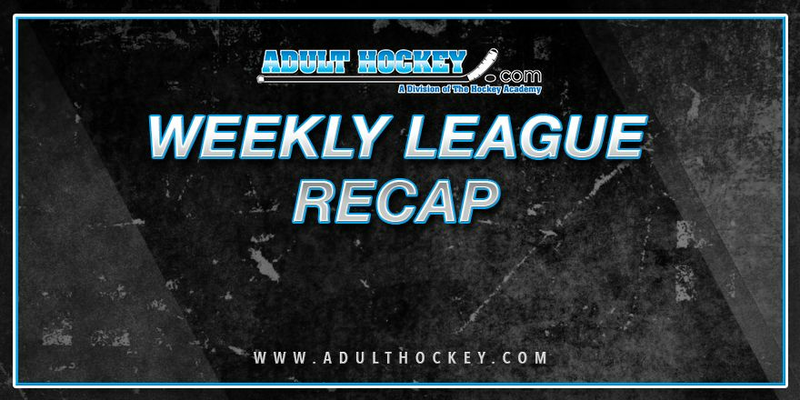 Notes: Grey keeps a 4 point lead over Light Blue despite a 6-1 loss to them this past week. SAVE $30, REGISTER EARLY for our Fall Adult Leagues! Notes: Orange split games in their week to play twice allowing Green to remain in first place with a 4 point lead. Notes: Team Red extends their win streak to 7 with a 5-3 win this past week! REMINDER: There is a two week break until next games. Notes: The battle for first place continues with Red holding the top spot 2 points ahead of Orange and Gray, who are tied at 7pts. Notes: Grey extends its lead to now 3 games ahead of the 2nd place teams. Yellow and Light Blue are currently tied for 2nd with 8 points a piece. Our first ever Tournament of Champions was held recently at The Edge in Bedford, MA. Although we featured more teams from the Bay State, the Granite State brought their A game. Congratulations to Hooksett which beat Nashua in the all New Hampshire final 2-1. 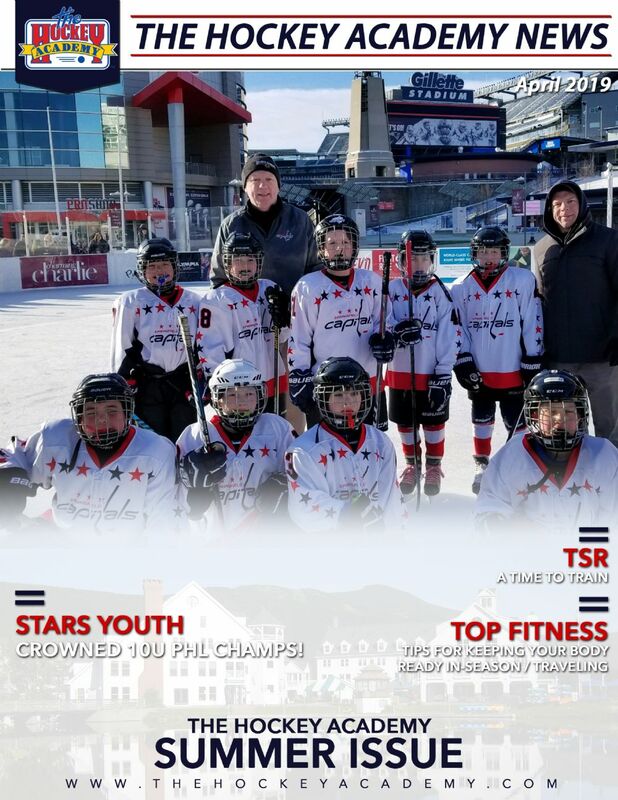 Many times when people call us and they want to learn to play hockey, they ask us what kind of equipment they need and what recommendations I have as to where they can buy their equipment. We have new learn to play hockey program starting in March in Woburn. For more information click "register" above. If you have a friend who is interested in learning to play hockey, feel free to forward this information along! When buying hockey equipment, we usually recommend a few of my favorite stores and websites, depending on a player’s location. 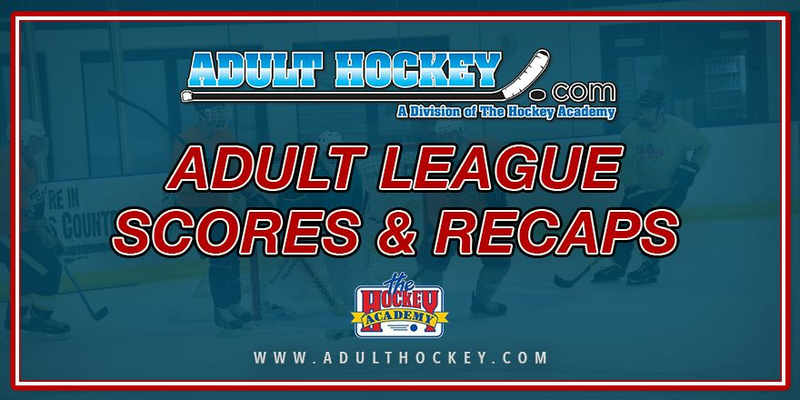 These generally include TSR Hockey in New Hampshire, Zwickers in Bedford MA, Pure Hockey (which has a number of locations) and Hockey Monkey (if you are lucky enough to live close to there…if not, you can shop there online!). Personally I always shop for the best prices but there are a few things worth splurging on and getting fitted for because they’re important pieces of equipment. Get fitted for this. It’s important that you are comfortable in your helmet and it’s not too small (you’ll get the worst headache ever) or too big (no protection!). Choose a shield or a cage for face protection; you may find you prefer one over the other and decide to switch later. It is so important to get fitted for these! You don’t want to be in agony on the ice, so you might have to invest a little more money here. It will be worth it! For your first time playing hockey, you’ll want to get this in person as well. Choose one that is comfortable for you and since you’re just starting out, you don’t have to make too much of an investment here. You can buy these online and relatively inexpensively if you choose. You can get used gloves but we recommend new ones. You can measure your calf and buy these online if you choose. You can buy a cheap pair online but definitely check the size chart on these! You need something to put all your stuff inside! You can shop online or in person for this. Hockey Academy provides jerseys but you may want to pick up an additional one that fits you more true to your size, just in case. Always go with a white or black/dark jersey. Nothing is worse when you’re trying to play pick-up with your friends and people forget what team you were on because your jersey was orange, yellow, purple, etc. Hockey is a game that is played throughout the world by people of all ages and skill levels. It is common for local ice rinks to have adult aged recreation leagues (some would refer to as beer leagues) in place. There are enough people who enjoy the game that there are different divisions comprised with many teams at these rinks. 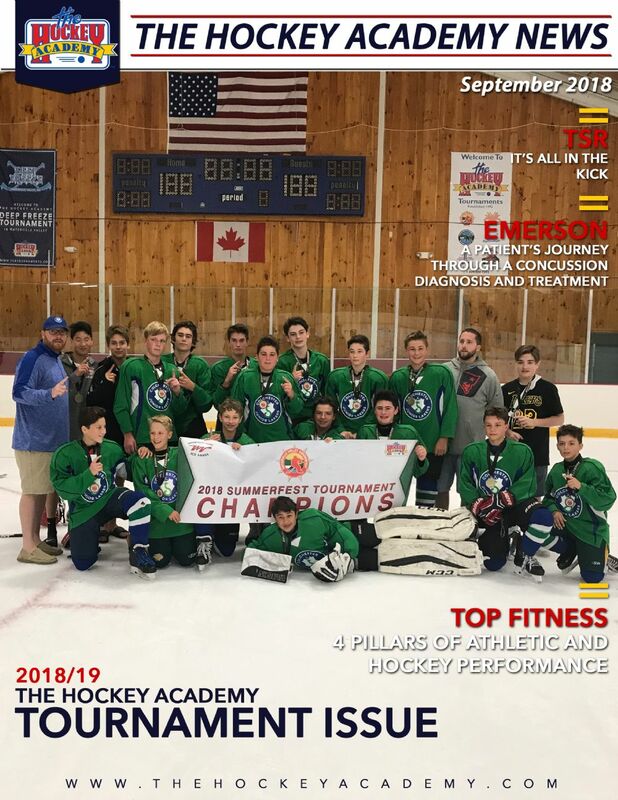 Over the last few years, I have been asked by other adult hockey league players- “How can I get in shape for hockey?” or, “Can you give me a program?”. Usually I will give a general answer that may include instructions to add strength training and possibly change their diets. What I want to share is a few simple things that can help people enjoy the game for as long as they can. The ability to play hockey for it’s enjoyment and being pain-free is what has inspired me to write this piece. I understand that some people may skate for about an hour per week. However, I also see many folks who participate in multiple leagues and pick-up games on a weekly basis. Also, I have come across several people who have sustained injuries both from acute and overuse nature. The reality is that hockey is a fast paced game with frequent changes of direction. Hips, backs, and knees can become sore and injured while playing. Personally, I realize that as I get older, I need to be fit to play hockey instead of using hockey as a way to get fit. First, I think it is important to invest in a foam roller. These are now considered to be must-haves for all of the players that I work with. I recommend a half foam roll because it can be used both at home and at the rink because it fits in a hockey bag. Foam rolling is recommended to be done for a few minutes prior to stretching and warming up. Players that I work with love the foam roll because they can address their muscle trigger points which are those little knots of tenderness that you may feel in different muscles. The more that you use it, the more you will know where to use it on your body- especially when crunched for time. Foam rolling is recommended for the quads, hip rotators, IT bands, glutes, hamstrings, pecs, lats, and any other muscle groups that you would need to address. Static stretching should be done more often for the older hockey player. Not only should you stretch while at the rink, but you should stretch while at home as well. You must think about all of the work that the muscles like the hip flexors, quads, and hip adductors do during the course of a hockey game. The more games that you play, the more time you should spend stretching. With the fact that many recreation level hockey players have jobs that require them to sit for long periods of time, stretching is even more important. Stretches for the Hip Flexors, Rectus Fomoris’ (Quads), Adductors, and Hip Rotators can all be addressed during a short period of time. 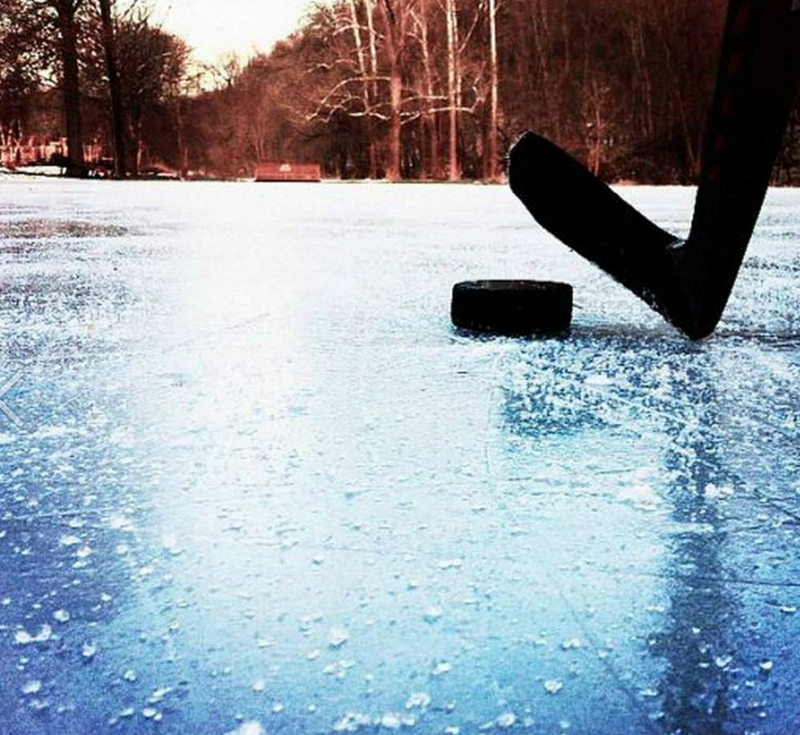 From a practical perspective, a proper warm up for a recreational hockey is hard to accomplish. It is common for people to roll out of bed and head to the rink, or go to the rink immediately after work. Although I understand that it can be difficult to get to the rink; there should be a semi-conscious effort to get to the rink a little earlier for a proper warm up. Here is an example of a dynamic warm up that can be done for 5 minutes and can be either done in place or over 10-15 yard space. If you have only a few minutes to warm up before you go on the ice, at minimum I would recommend the dynamic warm up. Skip the foam rolling and static stretching, but don’t skip the dynamic warm up. When you look at the time spent for foam rolling, stretching, and warming up, we are talking about maybe 15 minutes total. Doing this prior to taking the ice will go a long way in preventing injuries. Strength training for hockey can be an easy process. It can help reduce the chance for injury while also increasing performance. How many players do you know who would like to stay healthy and get faster on the ice? While it may seem confusing due to a large number of exercise possibilities, it can be broken down to a really simple, yet effective method. These strength training sessions could be done twice per week. I would recommend 2-3 days between sessions. The most important aspect of strength training is having proper technique in all exercises. If you don’t know how to do an exercise properly, please get with someone who knows what they are doing. Start light and do the exercises correctly. Then as you get stronger, add some more weight and continue to progress. Keep it simple. 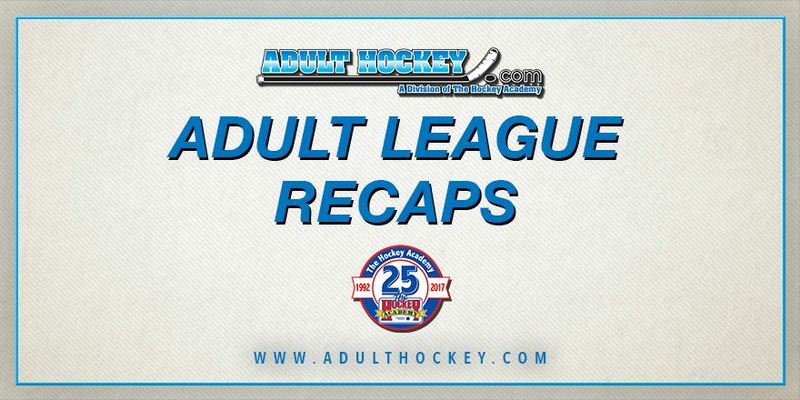 If you fear that you've waited too long to join an adult league, not to worry! There is still room in some adult leagues. E-mail Krista at kperry@thehockeyacademy.com to find out availability or call us at 1 800 800 7373 press 0. 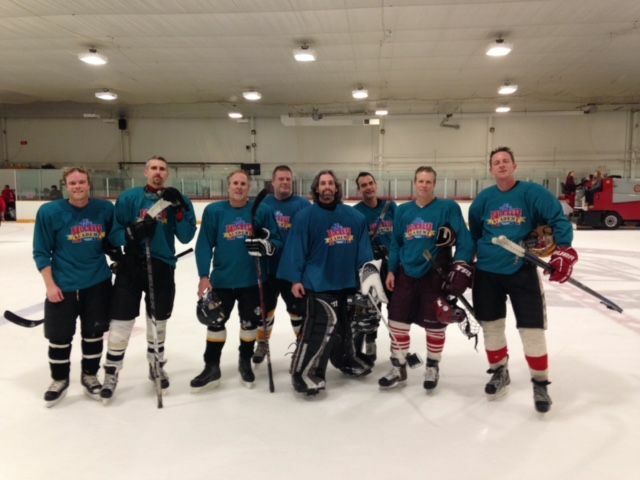 Registration is now open for Winter hockey leagues! Here is some information about our leagues & locations. 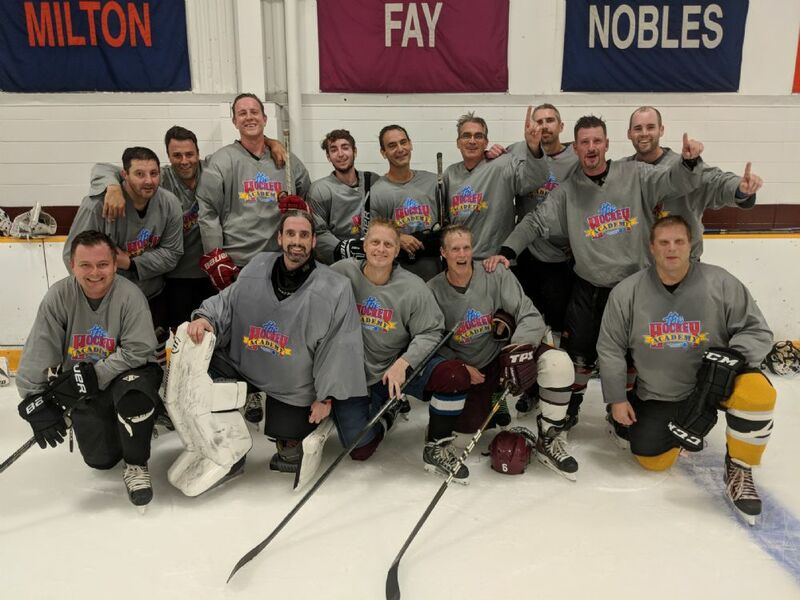 Hooksett, NH Novice League: A beginner/novice hockey league ideally for those with less than 5 years of experience, though we recognize others with more experience who are looking for less intense competition may join this league as well. Game days/times: Sunday nights in the 7pm, 8pm, or 9pm range with a few 10pm games possible at Tri Town Arena. 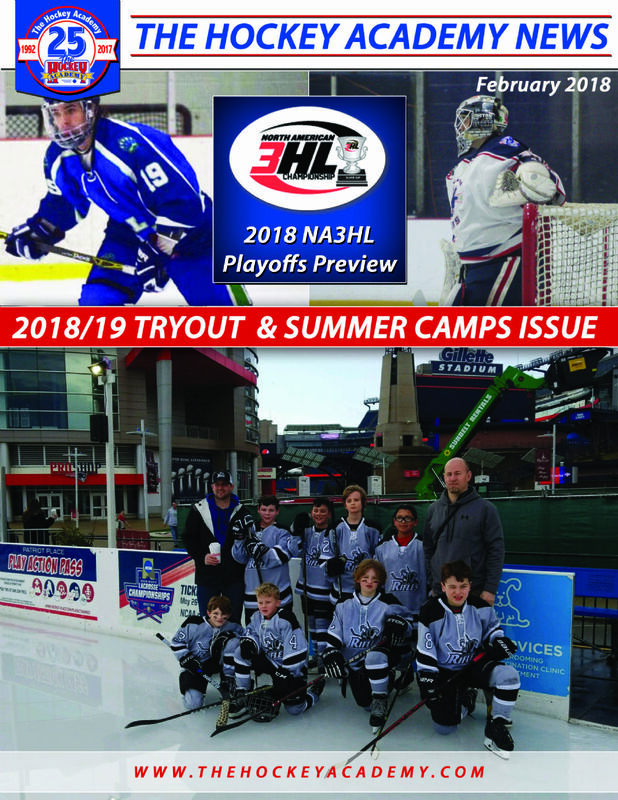 Nashua, NH Novice League: This is a league for those ideally within 5 years or less of their hockey playing experience, or those not looking for a very competitive experience. Game days/times: Thursdays at 9:10 or 10:10pm at Conway Arena; Thursday at 10:20pm at Skate 3 in Tyngsboro. Newton Novice/Intermediate League: This is a mixed level novice league with both novice and intermediate level players, some of whom have been playing for less than five years and some have 5-10+ years of experience. Reading Novice League: This is a mixed level novice league with both novice and intermediate players, with those who have been playing for less than five years and those who have been playing longer. 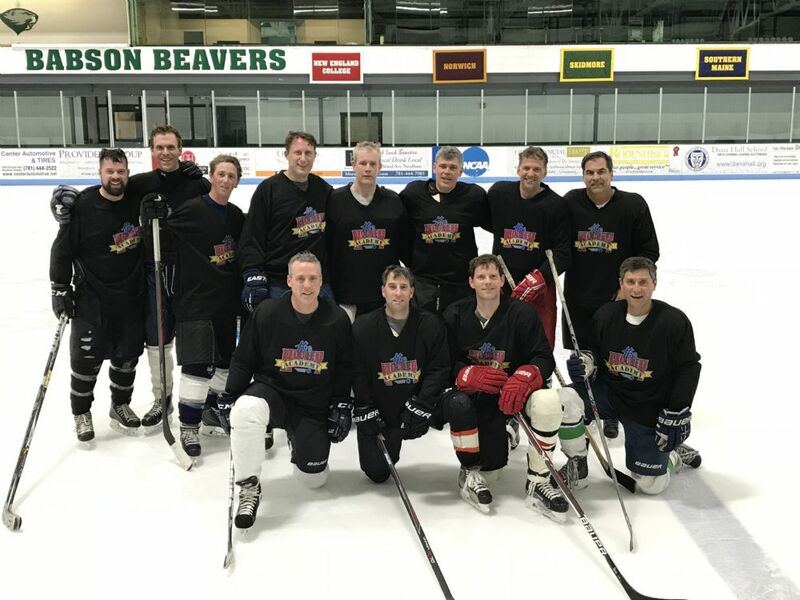 Tyngsboro 40+ League: A league for players 40+, though players 37+ may apply to play in this league. It is a novice/intermediate mix. Congrats to the white team, Reading league champs! Congrats to the teal team - Newton upper division champs! Congrats to the green team, Nashua league champions! In the Newton league, the lower division solidified the first round of playoff seedings. With white beating black 5-1, and Vegas Gold beating Light Blue 4-3 last night, White has solidified its first place seed and will play vegas gold next week. Black and Light Blue will play and winners will face each other in the championship. In the Reading/Woburn league, the first round of playoffs begins next week as black and green have a bye to the finals and white and gray face off, as do yellow and red. Last week red beat gray 6-1, black beat yellow 4-1 and white beat green 5-1. In the Hooksett League, seedings were solidified for the first week of playoffs with yellow and red receiving a bye to the semifinals. Black will face light blue and teal will face white. 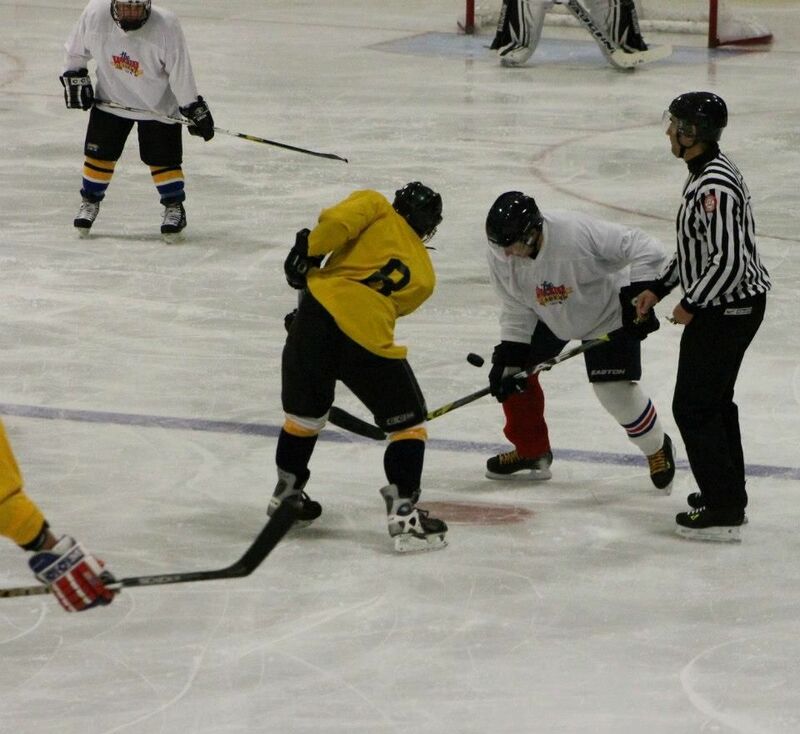 Last week black ran past white 9-5, light blue edged teal 6-5 and red and yellow tied at 5. 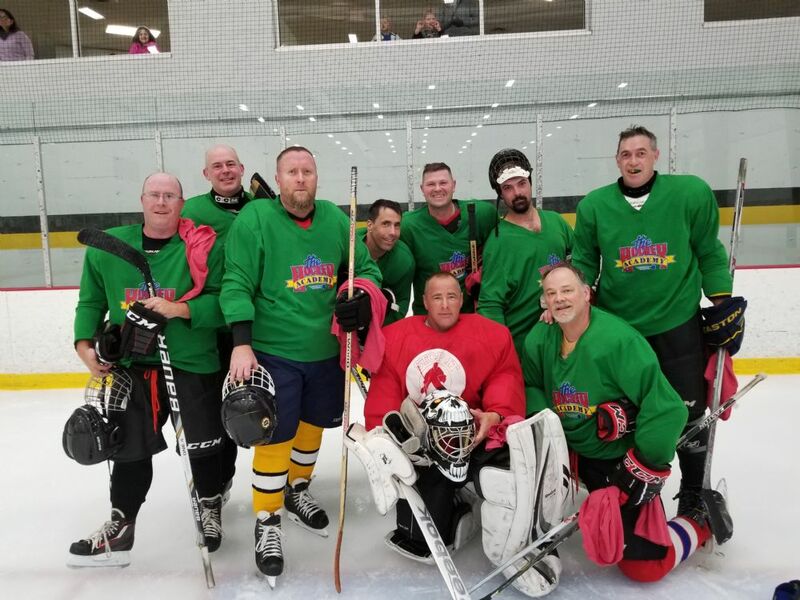 In the 40+ league, the green team edged the red team 4-3, with four different goal scorers for green including Michael Joyce, Sigis Angelo, Paul LeMire and Brian Solari. For red, Scott Manchester and Chris Streeter scored. White beat yellow 7-4, with Jason Mainini scoring four goals in that game. Mark DiMarzio scored twice for yellow. In the Newton league, light blue bested black 5-2, with Michael MacSwain's hat trick lifting light blue to the win. Jon Garvin and Fahim Razzique scored for black. 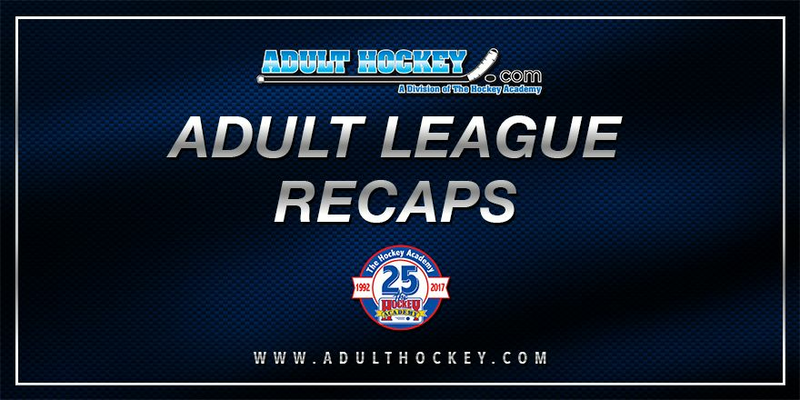 White edged Vegas Gold 4-3, with two goals from Jeremy Shrauger in white's win. Jeffrey Smith notched two goals for gold. Red beat yellow 7-1, with Michael Campbell notching the lone goal for yellow. Red's Richard Giminez notched two goals and one assist. Teal and gray each tied at 4, with Kevin Daley scoring twice for teal and Mike Felger scoring twice for gray in the draw. 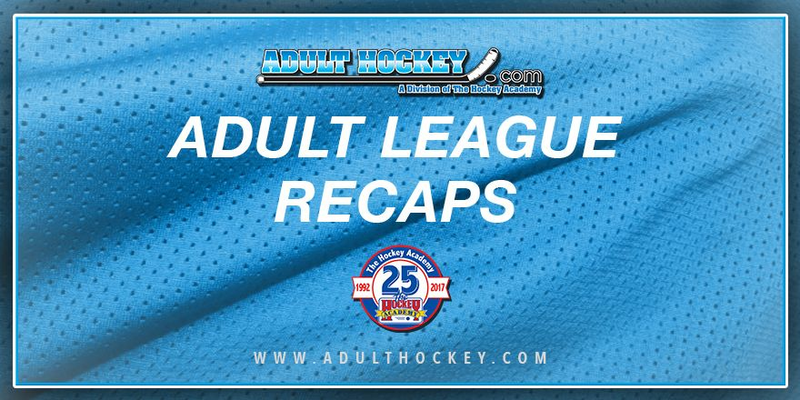 In the Nashua league, green edged gray 6-5, with Joe Cloughessey and Earl Vaillancourt notching goals in the win for green. Gray's John Ruble scored twice in the loss. Orange and yellow tied at 2 each, with Chris McKean, Keith Vecchione and Jeff Grandmason all scoring. In the Reading/Woburn league, the yelow team beat the white team 6-3. Matt Pendleton scored two goals, while Scott Lennox scored twice for white. Gray edged green 2-1 when Matt Alber scored a pair of goals. Dennis O'Neill scored for green, assisted by Erin Cannon. Red and black each tied at 6. For red, Steve Mini, Paul Lapointe and Eric Previte scored. For Black, Jon Melanson scored twice; Sevan Demirdogen and Greg Schultz also scored. 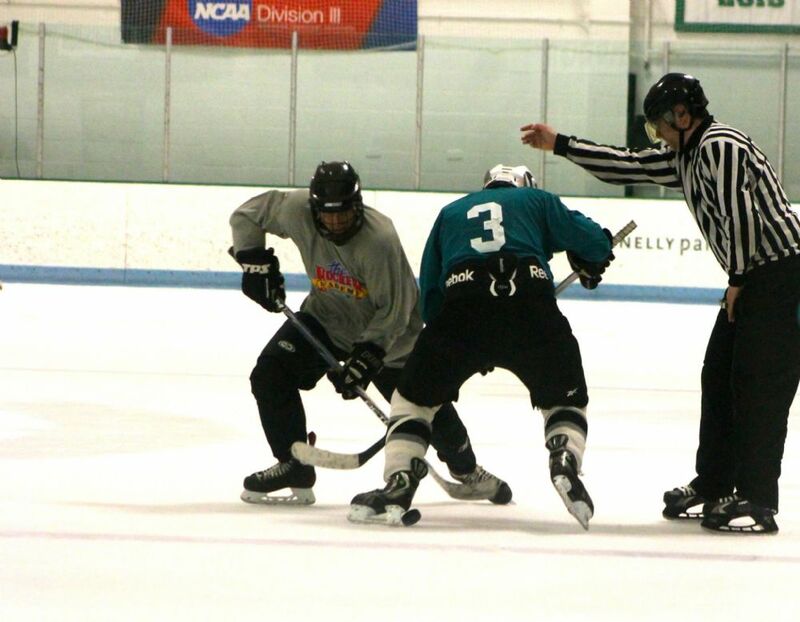 In the Hooksett League, black beat teal 8-3 with Aaron Belanger and Tom Wickey each scoring two goals in the win. James Thomas scored twice for teal. White beat red 5-3, with Mike Prymak scoring twice for red. Yellow beat light blue 5-1 with Aaron Flannery scoring a hat trick in the win. In the 40+ league, the yellow team edged the green team 3-2. Brian Solari notched a goal for green but yellow's Michael Scopa, Tom Levasseur and Mark DiMarzio were too much for the green team and scored for yellow. Red edged white 3-2, with Bill Brossi scoring twice for white but it was not enough; Brian Lussier, Scott Manchester and Dave Butler scored for red. 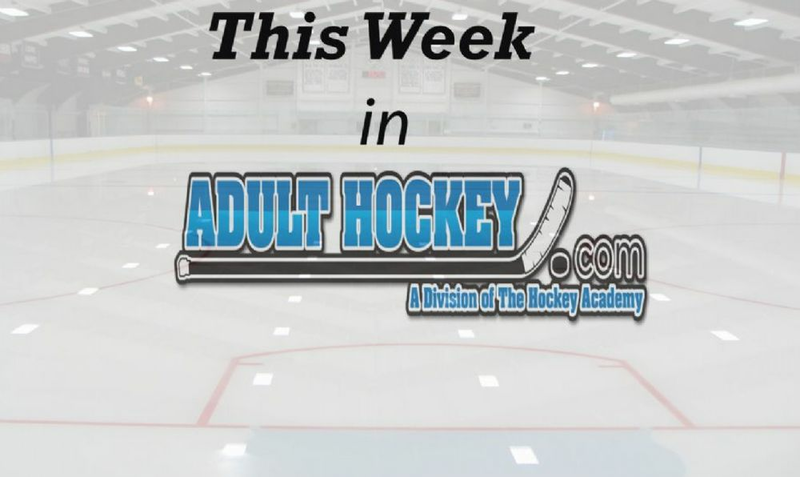 In addition to its adult hockey leagues, the Hockey Academy has added instructional sessions back into its adult programming. The instructional sessions will be in Woburn MA on Monday nights and Hooksett NH on Sunday nights. 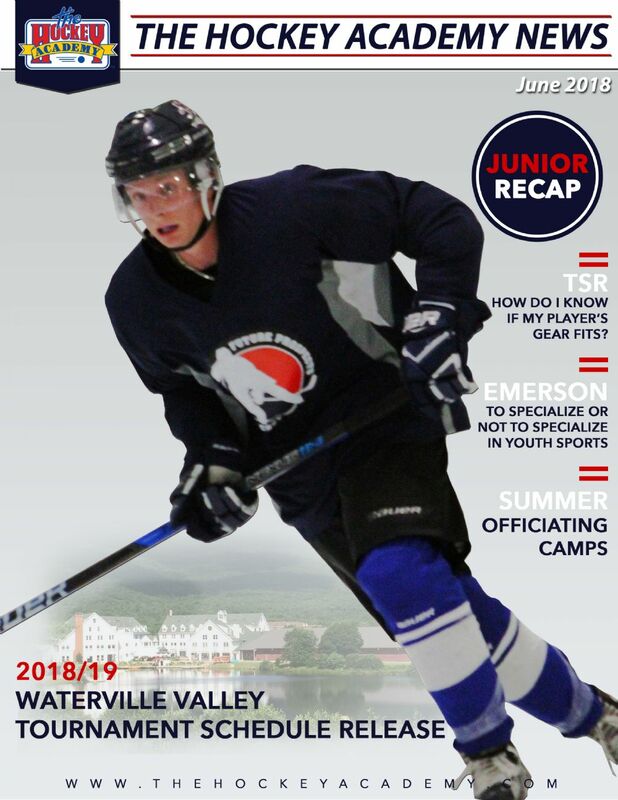 These skills sessions are perfect for those looking to learn the game, and will go over basic hockey skating strides, puck control, passing, shooting, and scrimmage time. Our professional staff will be guiding you through how to play the best sport on the planet this winter! Don't miss out on the opportunity to do what you have always dreamed: learning to play hockey. Monday night Woburn sessions will be either at 9pm or 10:10pm with the times rotating weekly; Hooksett NH sessions will be Sunday nights with varying times. View the Hooksett NH schedule here. Don't forget to join our email list to stay up to date on our sales, including our Black Friday $50 off sale - our biggest one of the year! Sign up here. In the Newton league, white and light blue tied at 4 each. For white, Doug Murstein, William Carrigan, Jeremy Shrauger scored, as did Chris Ryan. Light blue saw production from Michael MacSwain, Cameron McLeod, Michael Teryazos and Doug Taylor. Vegas Gold secured a win against black, with Darcy Faibish netting a hat trick, and Scott Martin also scoring two goals. Pasi Janne and James Garvin scored for black. Last week gray beat yellow 6-1 with goals from Greg Pachus, Chris Gordon, Michael Gealson and Mike Felger. For yellow, David Dobies scored. 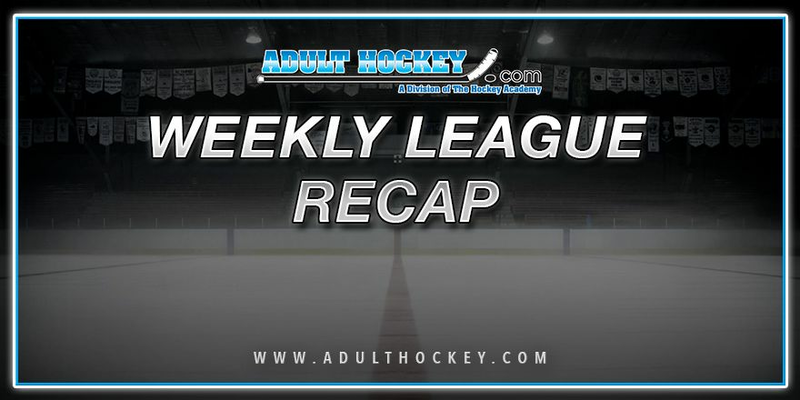 In the Nashua league, orange beat black 6-2 with goals from Pat McMahon, Patrick Williams, Brandon Kisecki and more. Gray beat yellow 5-4, with Derek Bouley and Matt Alber scoring for gray and Chris McKean and Bob Ricard scoring for yellow. Light Blue blankeed green, with goals from Michael Locke and Kyle Roderick. 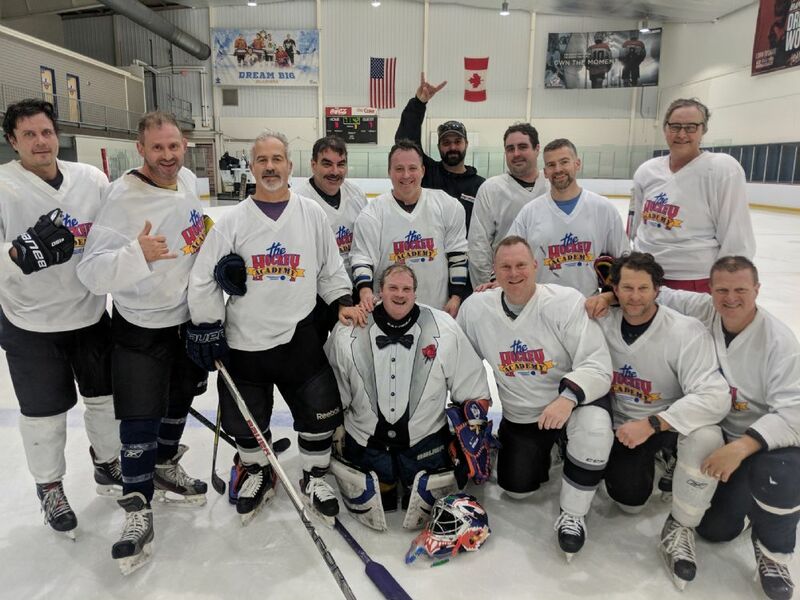 In the Reading/Woburn league, the white team ran past the gray team, 10-5, with goals from John Helbert, Eric Gilbert, Scott Lennox, David Le and Joseph Kostka. Dan Albert scored two goals for gray, as did Matt Jenkins. Red beat yellow 4-2, with goals from Eric Previte, Barry Glovsky, Steve Mini and Paul Lapointe. Ben Littauer and Anthony Sorrentino scored for yellow. Green beat black 3-1, with one goal from Thomas Kinchla and two from Brent Guerard. 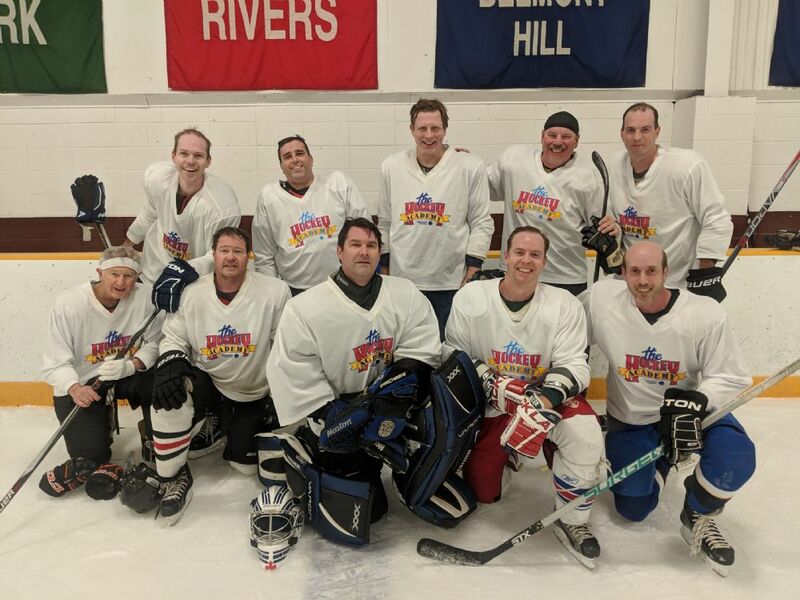 In the Hooksett League, white beat teal 10-9, with John Cail scoring four goals in the contest for white and Lowell Balch, Mike Prymak and more scoring for teal. Yellow beat blue 4-2 with goals from Russell Schmitt and Nick Bartashevich. Red beat teal 7-1, with Todd Bryan netting two goals for red. 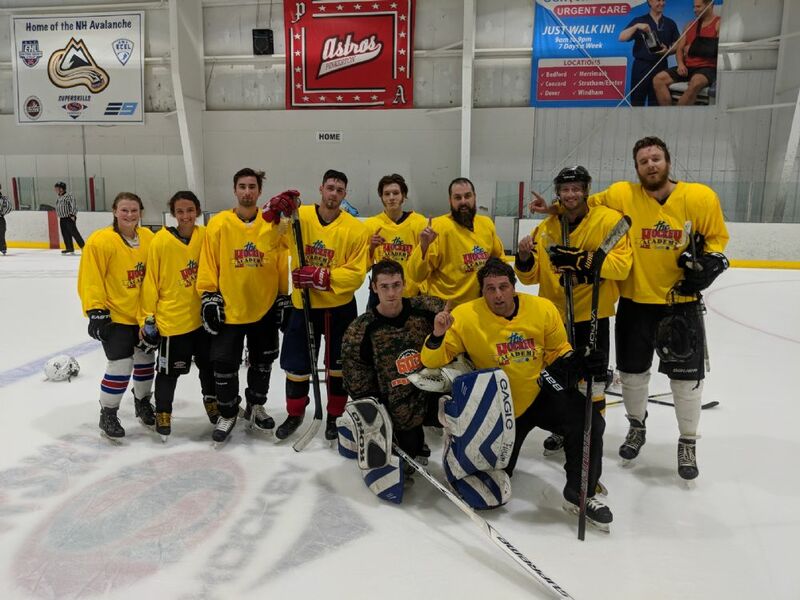 In the 40+ league, the yellow team blanked white 5-0 with two goals from Tim Erasmi and two from Michael Scopa, and one from Joe Cloughessy. Red edged green 3-2, with goals from Scott Manchester and Brian Therriault. George Spraklin and Sigis Angelo scored for green. In Newton, light blue beat gold last week 3-1, with Michael Teryazos netting two goals for light blue; gold's lone goal came from Fred Surr. Red beat yellow 4-1, with two goals from Ken Yuen and yellow's lone goal coming from David Dobies. Gray blanked teal, 2-0, with goals from Jeff Russel and Michael Gallant. In Reading, Black ran past gray 4-2. Last week, yellow and red tied at 3; white edged gray 5-4, and black beat green 5-1. In Hooksett, the teal team beat the black team 9-4. Teal's James Thomas scored 4 of those 9 goals, while Jordan McCLuskey scored two. Mike Szulc scored three goals for the black team. Yellow beat white 11-3, Nick Bartashevich, Jeff Gorman, Todd Bryan and Sean Harrington all scoring goals. John Cail Jr scored twice for white. Red beat light blue 8-3. 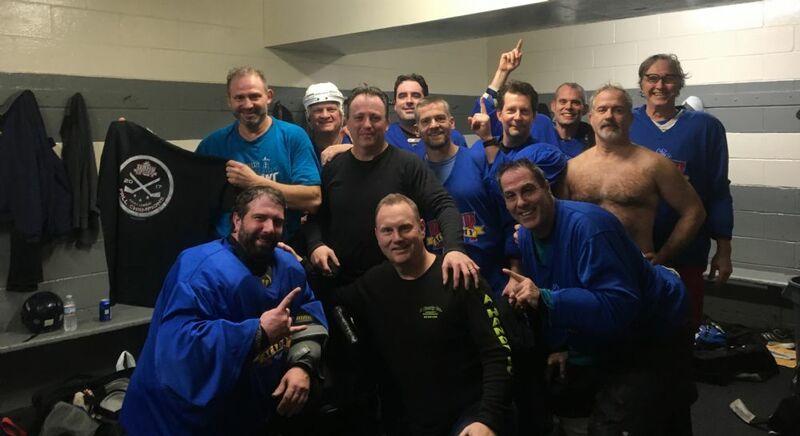 In Nashua, black beat gray 6-3, but Mike Eagleston netted two goals for the gray team in that contest. Yellow blanked green 1-0 with a goal from Christopher McKean. Light blue beat orange 7-4, with Kyle Roderick notching four goals in that game. In Tyngsboro, green and yellow each tied at 4, with Michael Joyce scoring twice for green. White edged Red 3-2, with Bill Brossi scoring two goals for white. Andrew Wigren may not have a right a foot, but it hasn't stopped him from lacing up his skates and playing his favorite sport. Wigren was born with a congenial birth defect in which his right leg was growing at a different rate than his left. By the time he was a child, doctors realized he would have significant problem walking due to the issue. As a young child, Wigren's foot was amputated at the ankle. The surgery was performed by nationally recognized orthopedic surgeon Dr. Arthur Pappas, of UMass Medical Center, and a Red Sox doctor. As a child and young teenager Wigren continued to play sports such as hockey, soccer and lacrosse, even with a prosthetic foot. Now, as an adult, he plays in the Hockey Academy Newton league at Fessenden rink. "There isn't a sport I've found that I've been shut out of because I have a prosthesis," he said. "I ski, I play squash, I cycle. It's been great, there really isn't a whole lot that I can't do." There are few things in hockey, specifically, that Wigren has difficulty doing, such as stopping on his right side. "You learn to work with it," he said. "Having your knee is a big deal. I'm lucky that I have my knee. If you are an above knee amputee, that adds a whole other layer of challenge." Wigren said as a child, his prothesis was like getting a new pair of shoes, since he outgrew them quickly; now at the age of 41, he said he only needs a new one once he wears his current one out. "It happens quite frequently, it gives you an appreciation for the human body," he said. "I don't think I've broken one playing hockey because the skate is protective, although I broke the ankle joint skiing last year. I'll break them frequently playing squash because of stopping and starting." Wigren continued to play hockey in school at Moses Brown in Providence, continuing on to Hobart, where he played club hockey. "I basically hung up the skates until probably 2009 when we moved to the suburbs. I had some friends who were getting back into the game and I knew David Dobies on the team, so I joined," he said. "...I typically play twice a week, and for me it's just been a great way to connect with old friends and develop new friends." Wigren became involved in Team USA's amputee hockey team - a standing amputee hockey team, as opposed to sled hockey - after someone saw his leg during a Wounded Warrior bike ride. 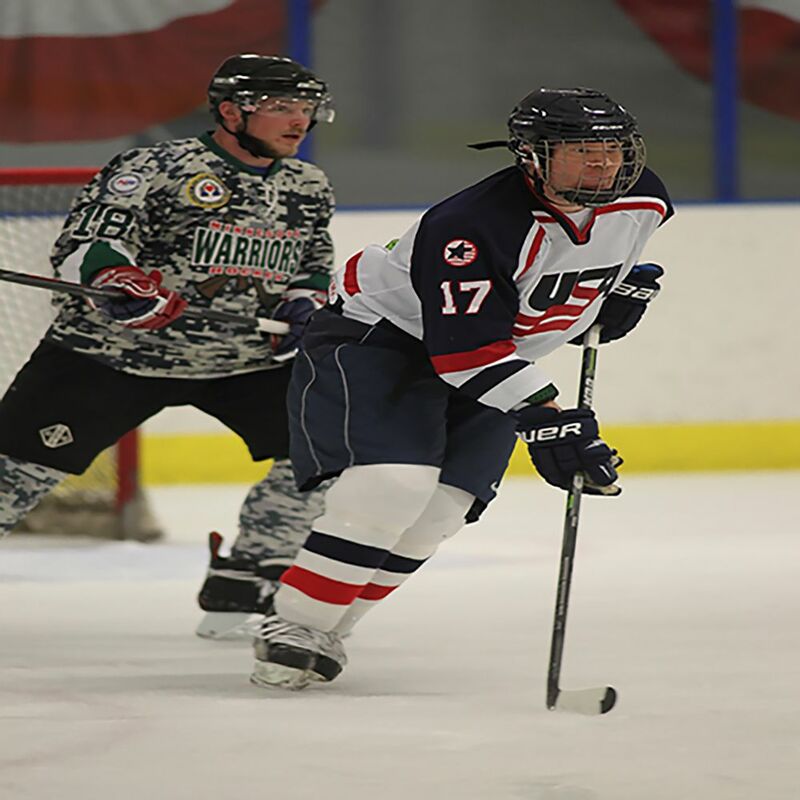 He has played in Team USA's national tournament, alongside players who have prosthetic arms and legs, competing against other Wounded Warrior teams. "It's been pretty cool in terms of putting on the USA Hockey sweater and representing," he said. "Sitting in a locker room of amputees is pretty interesting, learning their stories ... one of the guys literally has only one arm and he plays center, he takes face offs better than I can, it blows me away." Being involved with these types of players has been inspiring, Wigren said. "Everyone has their challenges, I don't care if it's a physical one or a mental one or a financial one, everyone has challenges, it's just a matter of the attitude you put forth to deal with it and the effort you put forth," he said. "I think I've always had an optimistic view about how I can approach the challenge, and never allowed myself to be slowed down by it." 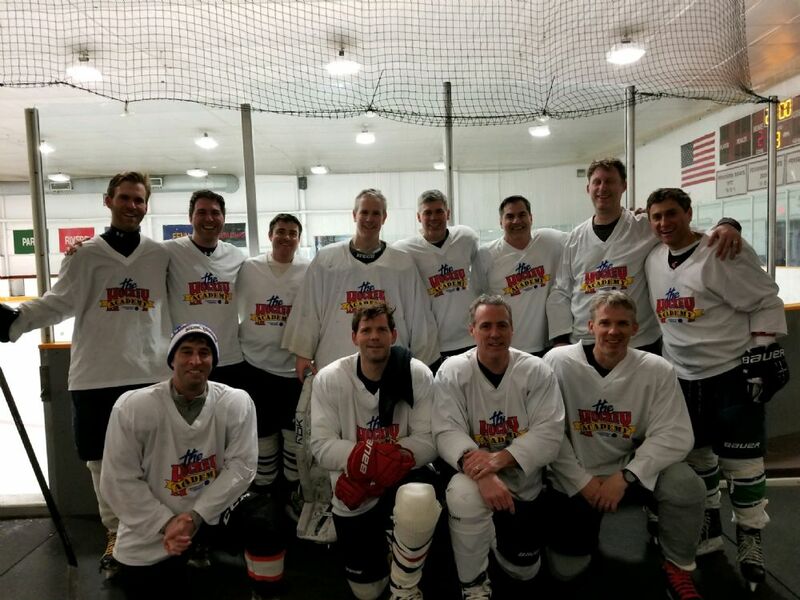 Wigren, a research analyst at Fidelity, said playing in the Newton league still allow him to spend time with his family and enjoy playing hockey. His kids, ages 9 and 7, think it's pretty cool that their dad plays hockey - even though they're in bed when he does. In addition to playing hockey, Wigren also enjoys running, cycling, and many other sports - but says "there's no other sport like hockey." "I've just always loved to skate and I like the creativity of it and the team aspect of it," he said. "Trying to work with a team to accomplish something greater than you could yourself. It's a non check league, but it is a physical sport and I like a physically challenging sport. I do run, but I want to be chasing a ball or a puck, I just like that. I like the competitive aspect of it. I'm a competitive person." In the Newton League, the black team topped the light blue team 4-2, with goals from four different goal scorers: Mike McCarthy, Ron Sheklin, Pasi Janne and James Garvin. 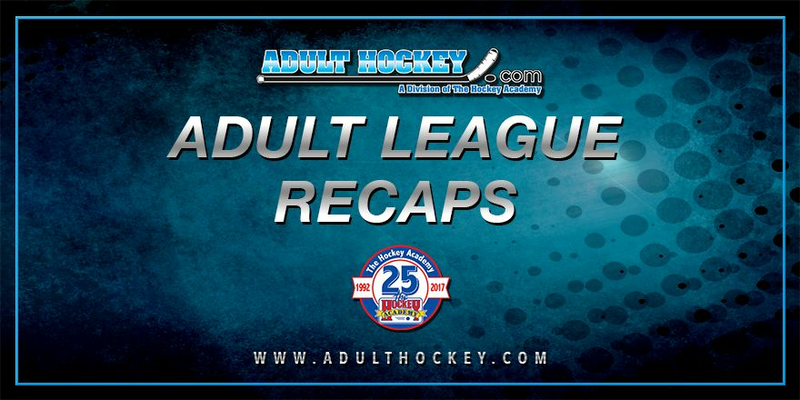 Doug Taylor and Mike MacSwain each notched goals for light blue. Last week light blue tied with 4-4 with MacSwain notching a hat trick in the game. 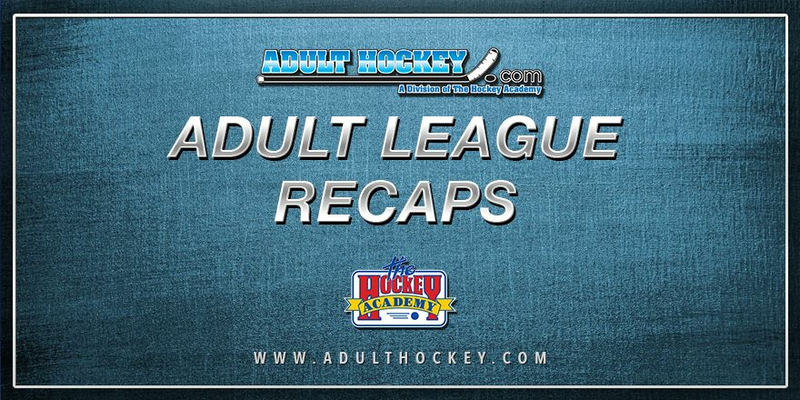 Vegas Gold registered a 3-1 win last night with two goals from Jeffrey Smith, and white's lone goal from Tim O'Brien. In the Nashua league, the yellow team fell to the black team 3-0, with while orange and blue skated to a 1-1 tie. 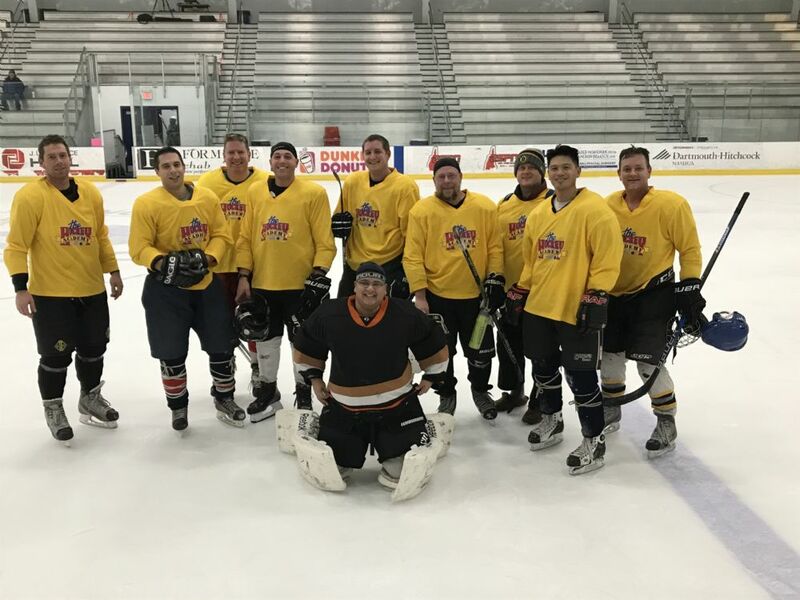 Keith Vecchione from Brandan Kisecki scored for the orange team, while Michael Locke notched the lone goal for light blue. In the Hooksett league, red and teal teams skated to a 5-5 tie. Pete Schwartz notched a hat trick for red, while James Thomas did the same for teal. White topped light blue 5-3, with Brad Cone scoring the game winner for white. Charles Thomas, Jay Condon and John Cail also scored for white. Black beat yellow 9-3, with Mike Szulc scoring a hat trick in the contest. 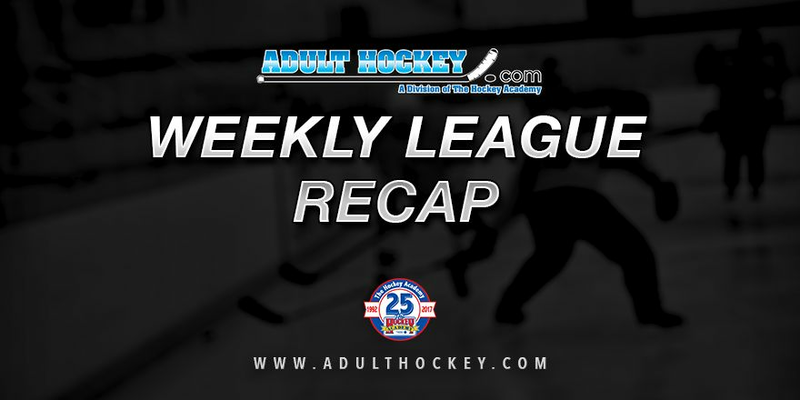 In the Reading/Woburn league, green and red skated to a 2-2 tie. Eric Previte scored both goals for the red team while John DiMaggio and Jay McCoy scored for green. Black beat white 8-1, with Joseph Kostka scoring for white. Yellow blaked gray 2-0 with goals from Mark Airoldi and Stu Peloquin. 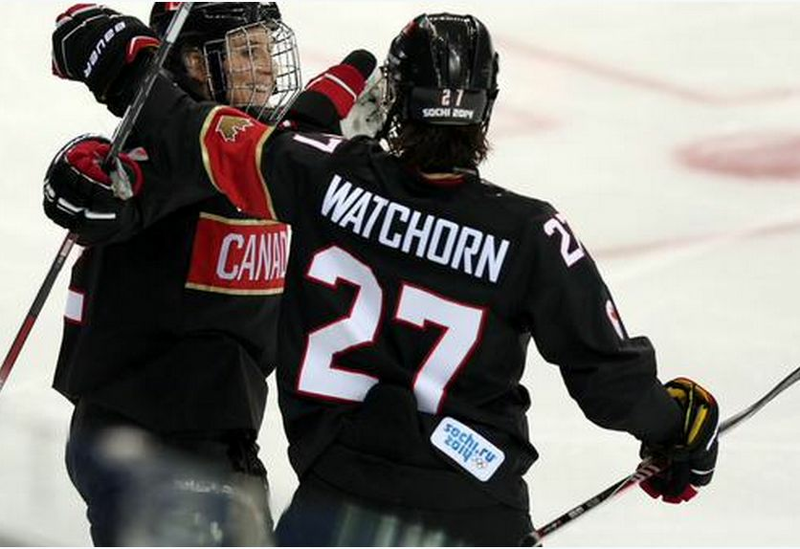 Canadian Olympic Gold Medalist and Boston Blades defenseman Tara Watchorn stopped by the Hockey Academy's Nashua league in August for a little prank. Adult league director Krista Patronick introduced Tara as her friend who was pretty bad at hockey, but wanted to try out the novice men's league to see if she liked it. She asked the guys for tips, what offsides means, and took a few very leisurely shifts on the ice. And then Tara turned it on to about 80% effort, and we took a video of it.